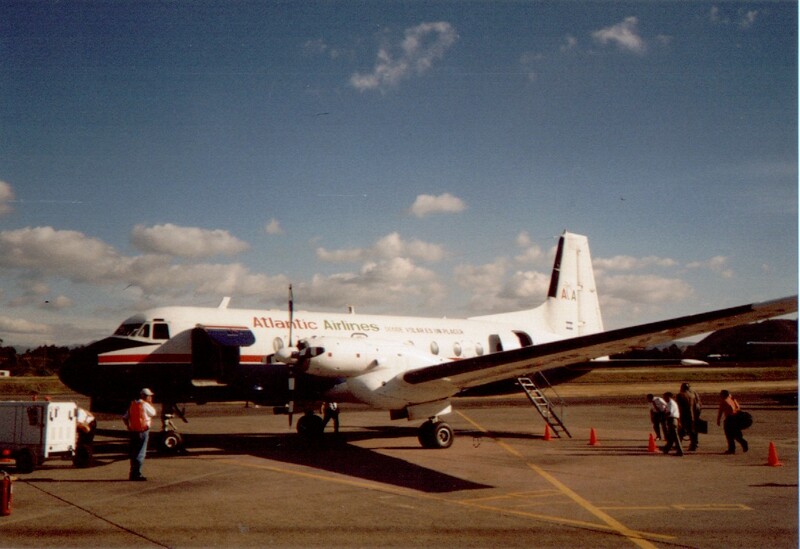 A handful Boeing 377 Stratocruisers have been converted to transport parts of Airbus, NASA and others. This supersonic jet was operationally a modest success but fascinated the world from its first flight in 1969 til its last in 2003 and beyond. 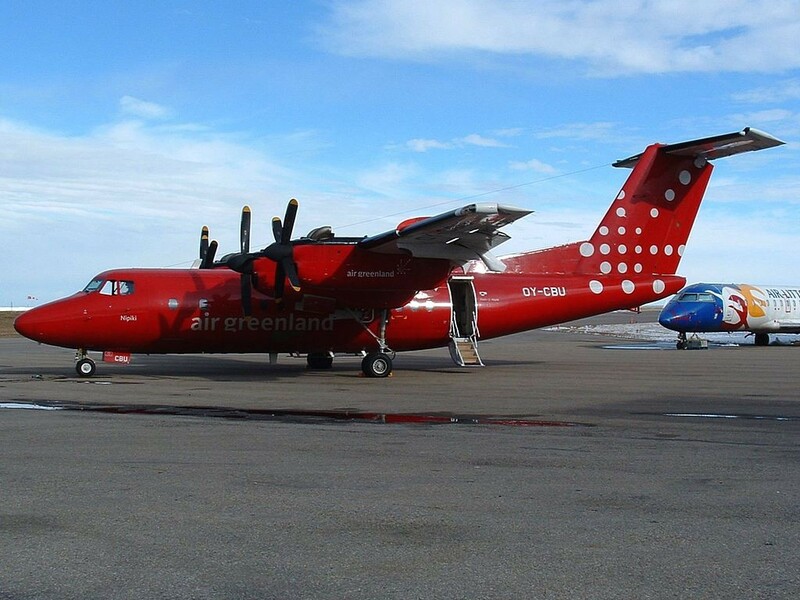 The Nord 262 was a commuter prop with 29 seats built in the 1960s. Although a modest succes (110 built), a few are still in service. 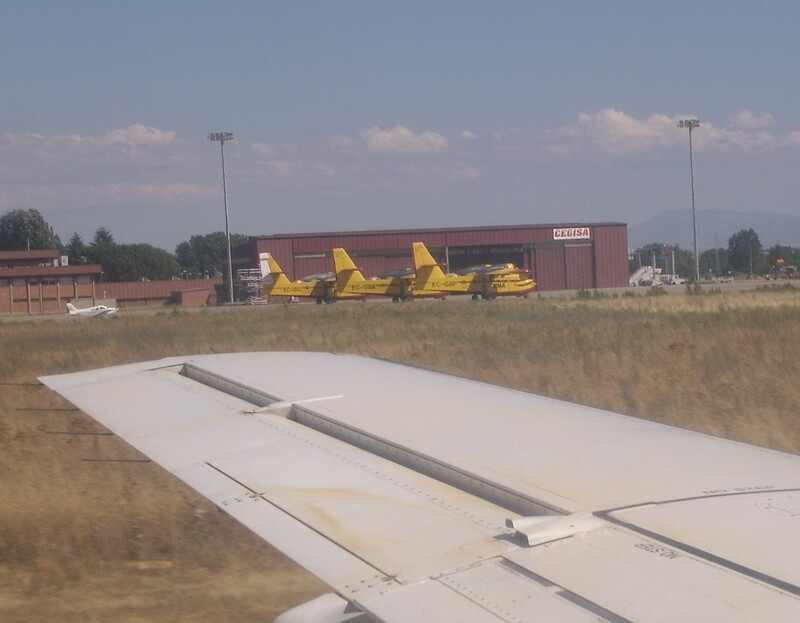 This French / Italian built twin prop seats between 40 and 70 passengers. With current high fuel prices, sales spead up again, now having passed the 1000 mark. Europe's main manufacturers agreed about building a 300 seater widebody airliner together. 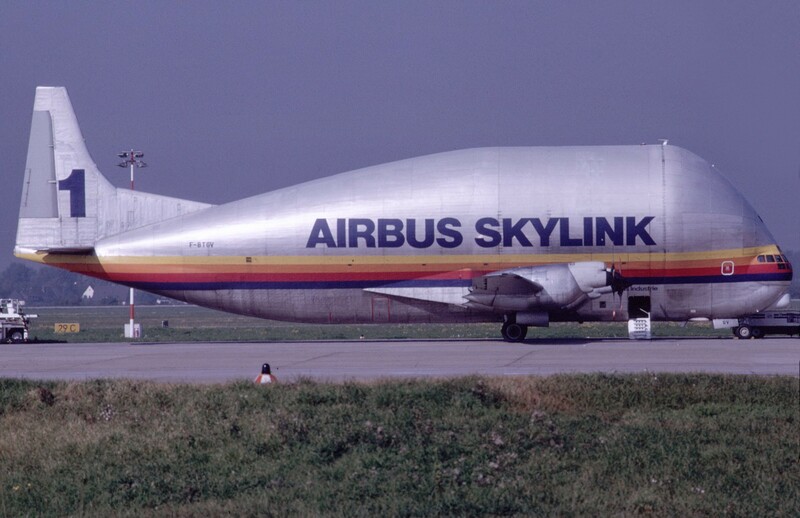 It first flew in 1972 and after a slow start, Airbus built a whole family around this design, cargo versions were manufactured til 2007. 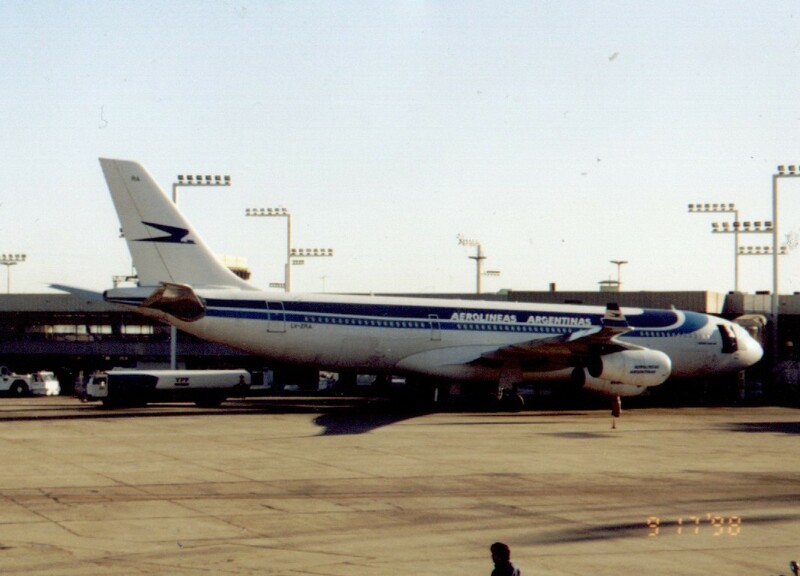 The shorter A-310 was a derivative of the A-300, a modest 255 have been built between 1982 and 1998, most of which are already relegated to cargo service. 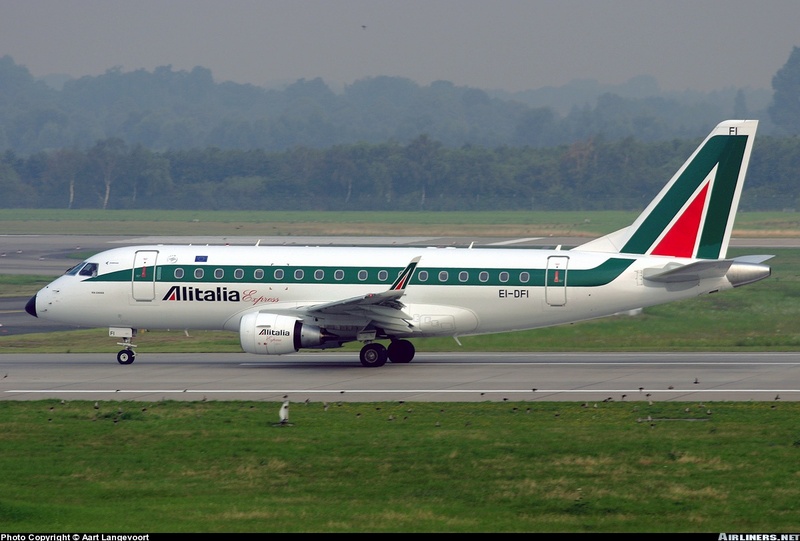 The shortest version of the A-320 family flew in 2002 and after problems with the PW engine are solved, sales finally reaching 100, are still slow compared to the A-319 and A-320. 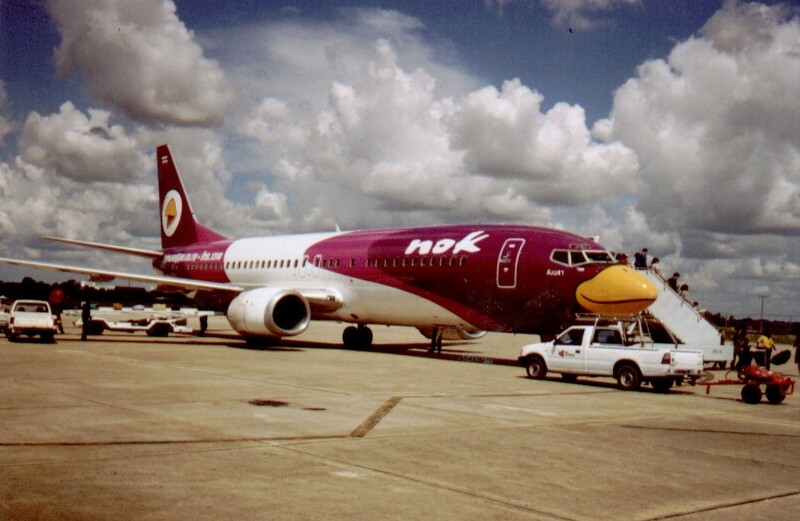 The shortened A-319 first flew in 1995 as a 737/DC-9 replacement. 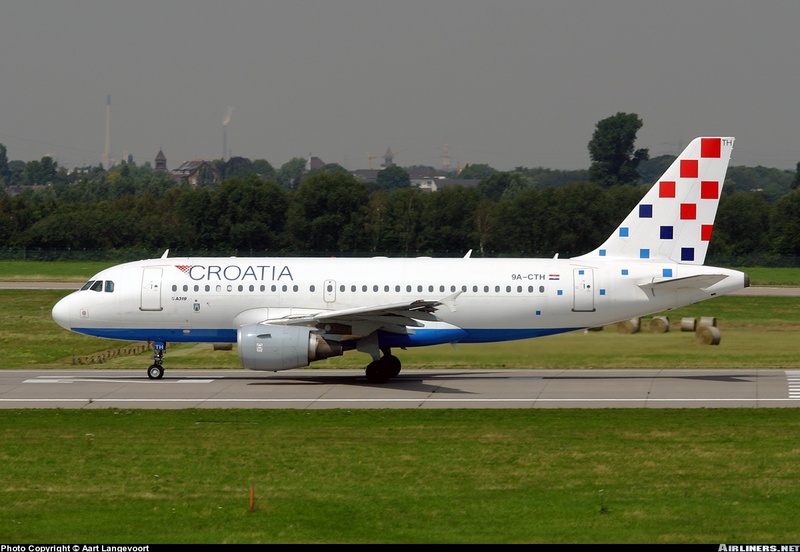 With more then 1000 sold and also popular with Low Cost carriers, it's one of the stronger Airbus in the market now. 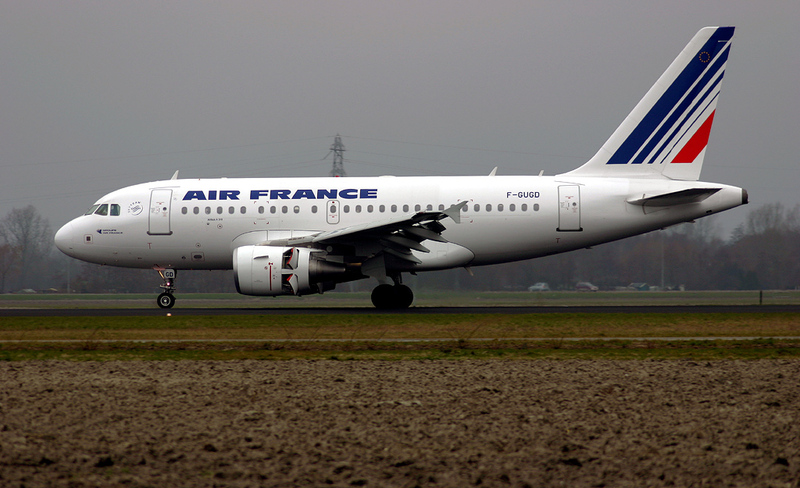 The A-320 was the first Airbus narrowbody, flying in 1987, and the first true challenge to Boeing and MDD. Expanding this 160 seat design into smaller and longer versions, Airbus covers half of the important 100-200 seat market by the start of the 21st Century. In 1987, Airbus took the unusual step of announcing the joint launch of twin- and four engined airliners based on the same fuselage. 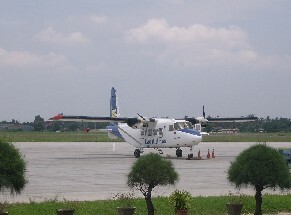 The two engined A-330 has proven by now to be most successful of the couple. 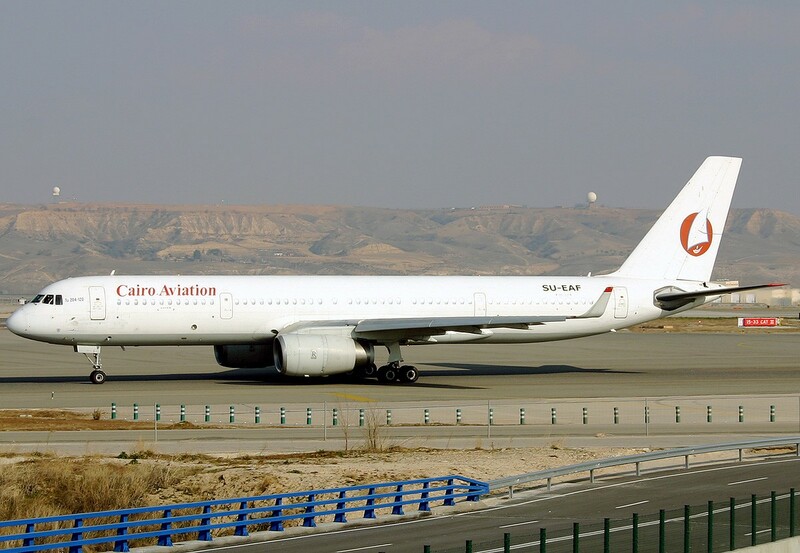 The four engined A-340 was to make it suitable for long range routes, but with longer ETOPS possible and increased fuel use, it hasn't been sold well since the 2000s. 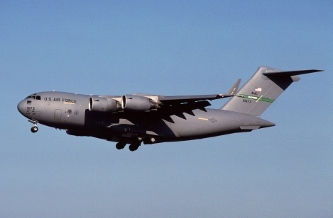 After a slow start, the A-380 is now in regular service, while the military prop A-400 flew for the first time in 2009. 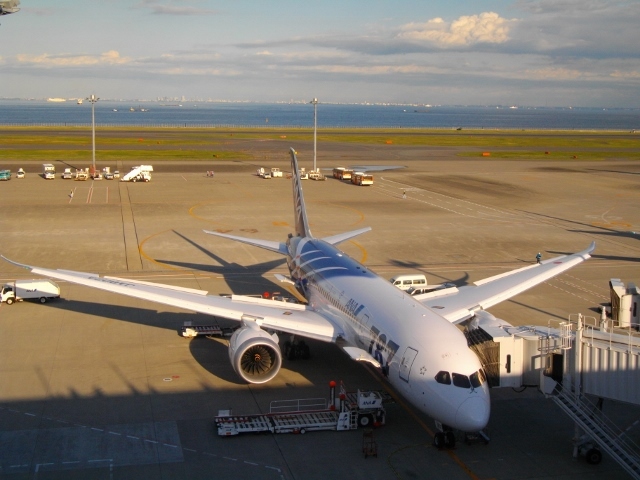 The A-350 is expected to fly in 2013.
, the 124/225 is the largest aircraft now in service, the new An-140, an ATR-styled commuter prop with its future uncertain due to some crashes, and the An-148 is a new Regional Jet. 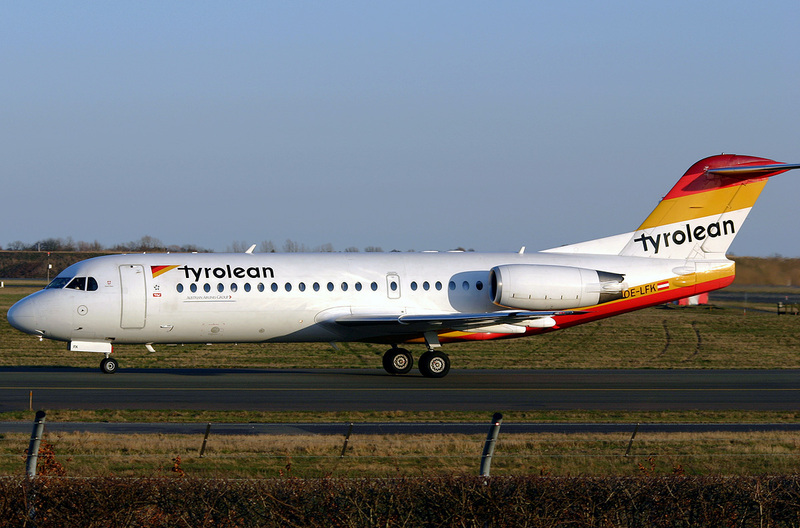 IThis Chinese regional Jet resembled the DC-9 and Boeing 717 a lot, the first flight is due in March 2008. 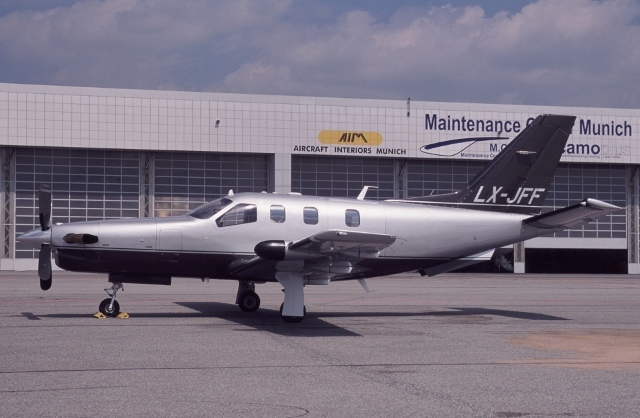 Initially developed by Hawker Siddely, the 146 was powered by four low powered turbofans for operations to noise conscious areas and short runways. 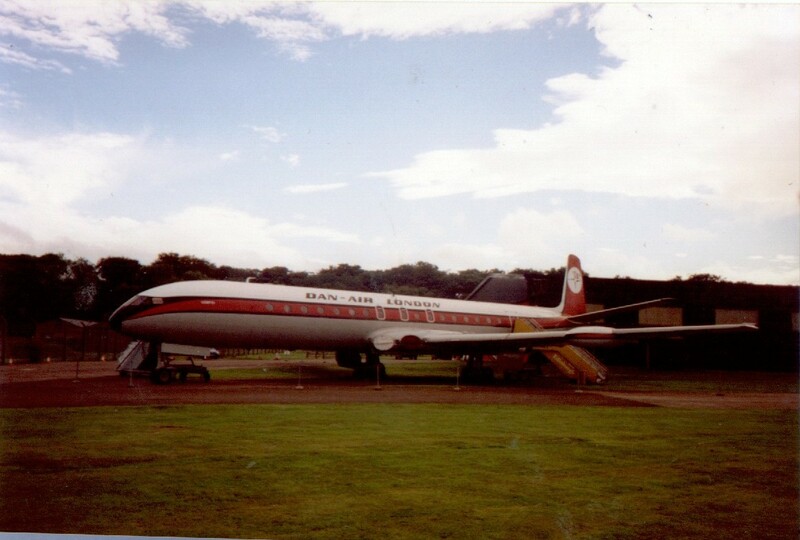 BAe relaunched the Avro Regional Jetliner in 1992 which meant a small revival, but production ceased in 2002. 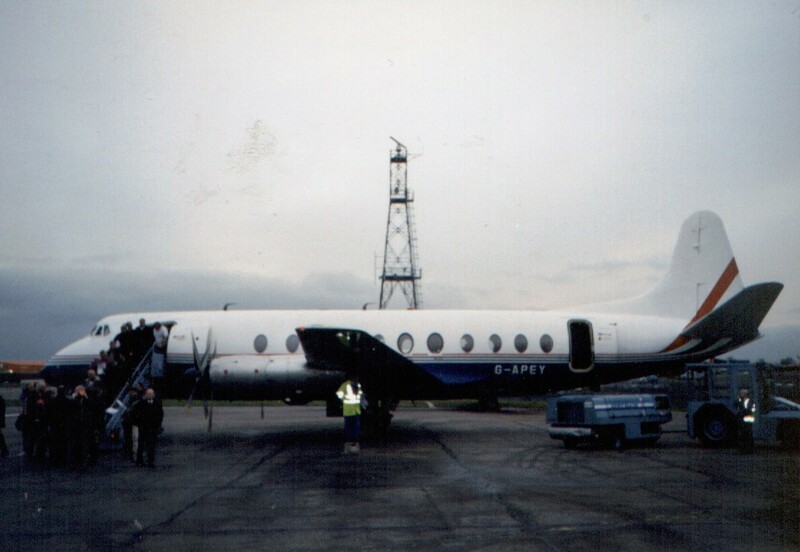 The UK answer to the F-27 and other 50 seaters was the HS-748. it sold reasonably and has also been licence built in India, the last one was produced in 1988. 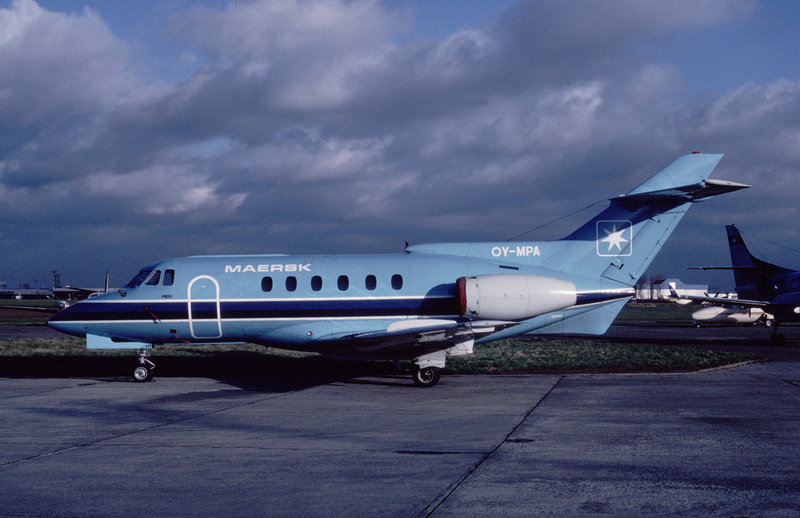 More then 10 year after Handley Page produced the HP-137, BAe updated the design and built almost 400 units of this 19-seater till the mid 1990s. 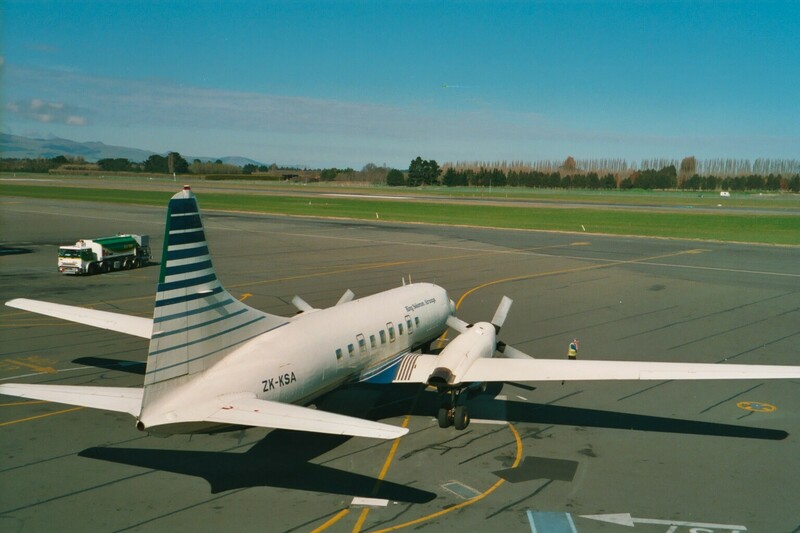 In 1990 a stretched 29-seat version of the Jetstream was launched. Hardly a success, in a few years, 105 frames were built before production ceased. 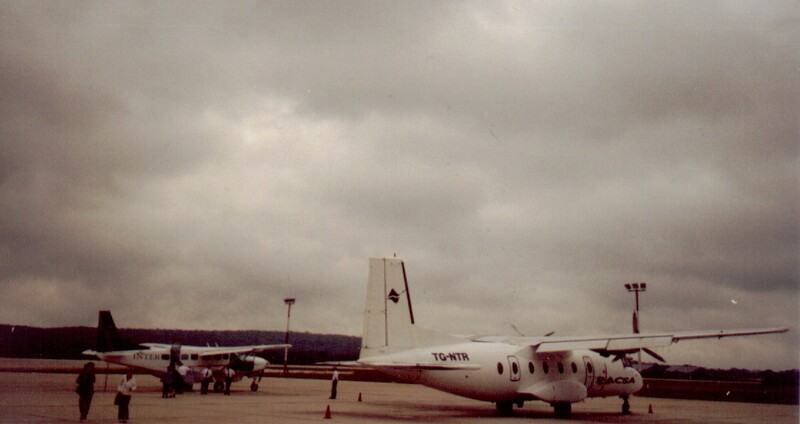 The ATP, first flight in 1986, was an advanced and stretched version of the old HS-748, but it failed to gain comparible substantial orders. After a struggling 10 years and 65 built, the unbuilt fuselages were sent to the scrapheap. With a production of 244 frames, this was one of the most successful British aircraft. 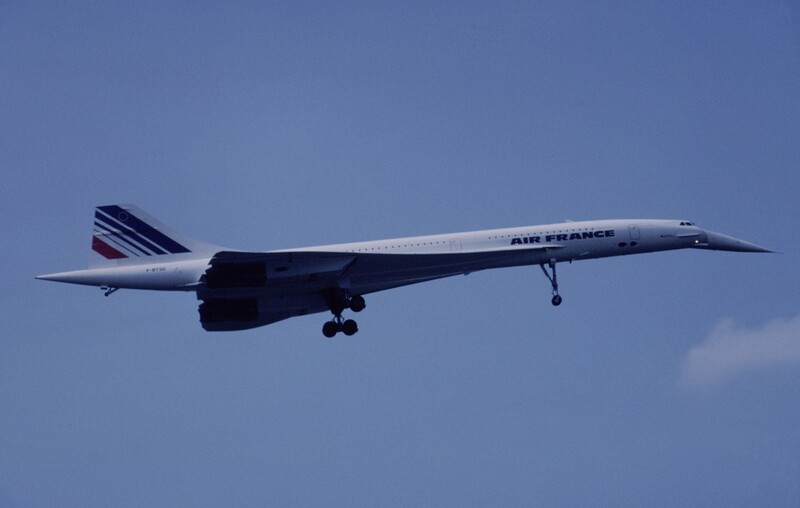 If the energy put in Concorde was spent on stretched and reengined versions, we might have still seen it everywhere today. 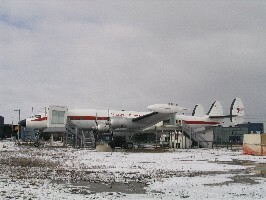 The Comet was the first jetliner to operate. The whole industry learned of it's crashes. The later versions were technological fine but soon outdated. 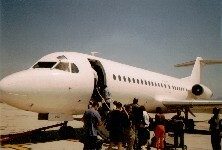 The military Nimrod is based on the Comet but with newer engines. 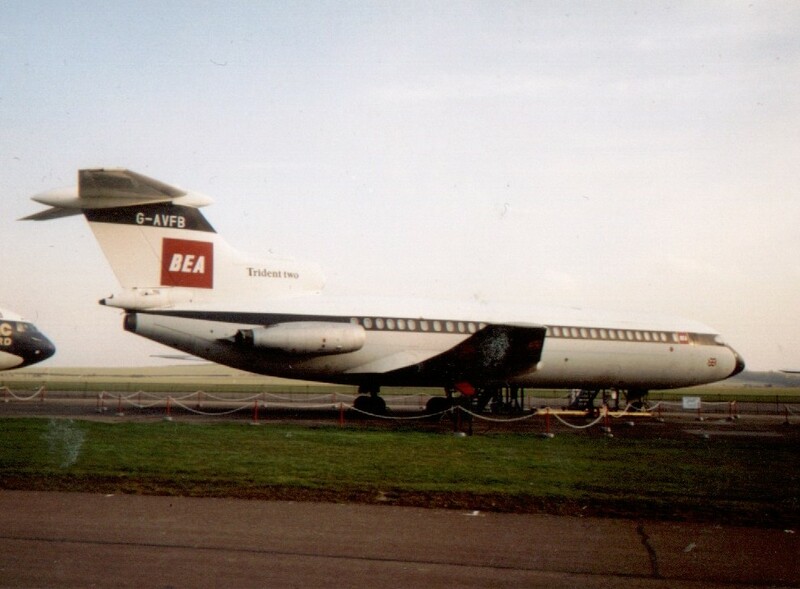 The Hawker Siddely Trident only had limited success, 117 aircraft were sold, that was blamed to listen too closely to BEA (later BA) 's specifications. 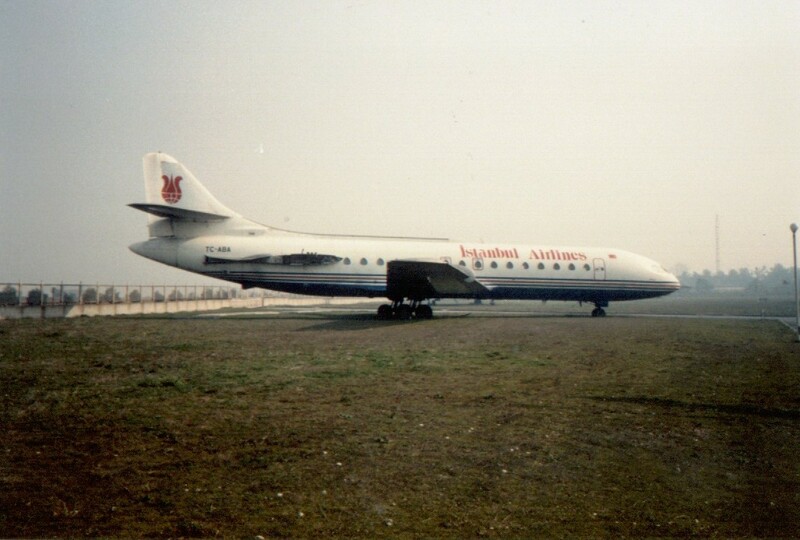 The last Trident flight occured in 1997 in China. 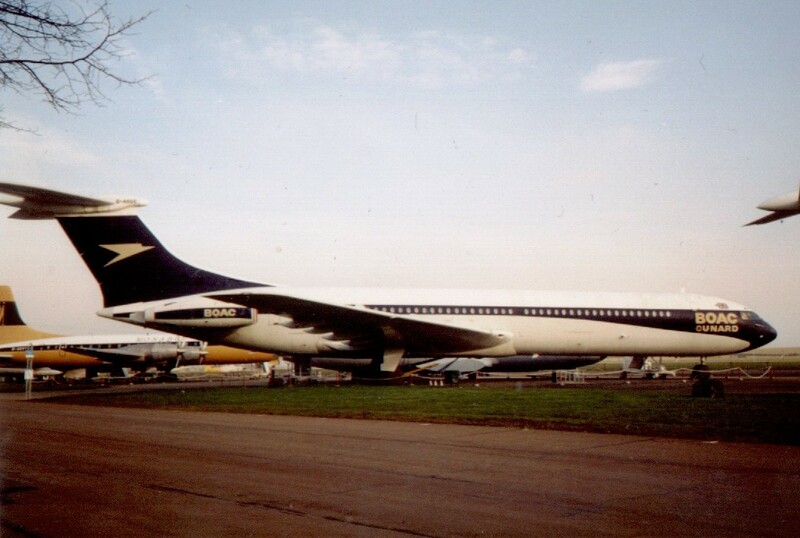 Another British aircraft which was overshadowed by its US competitors like the 707 and DC-8. 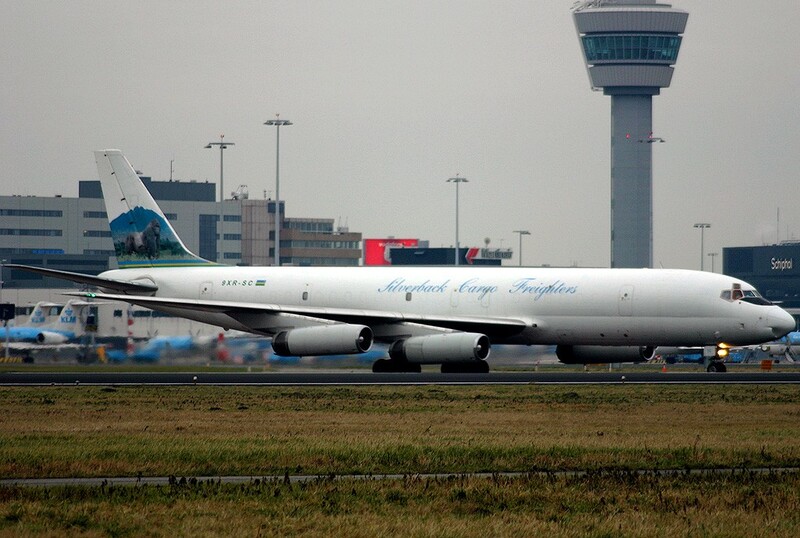 Although withdrawn from passenger service in 1981, some survive as tankers and VIP transporters with the RAF. 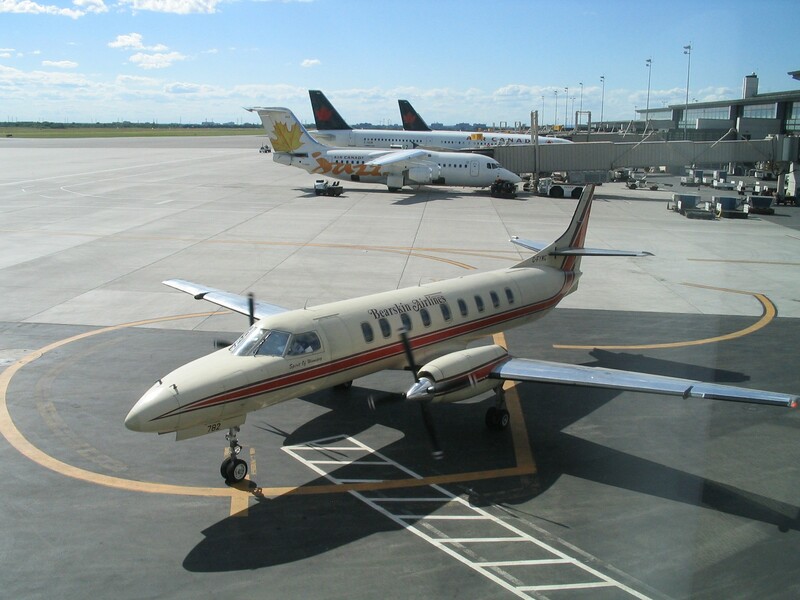 This Beech 1900 (19 seats) first flew in 1982 and remained longer in production then its competitors, til 2003. The Starship was an innovative biz-plane but failed commercially has been pulled off the market. 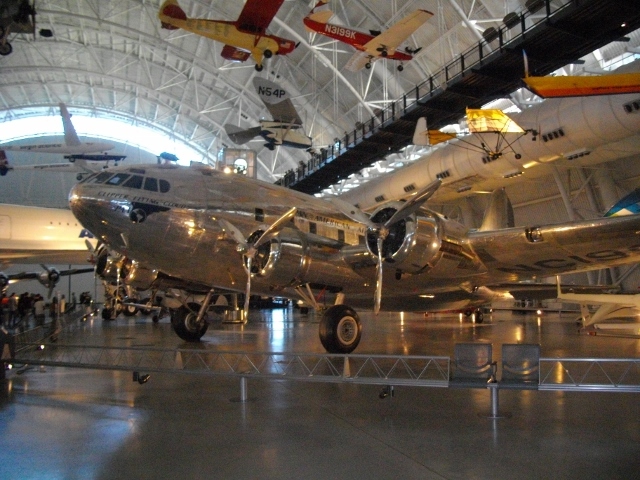 Only 10 were built, of which 2 are preserved in Washington DC and Miami. The first flight of the 707 in 1954 marked the start of the jet revolution in the airline business. 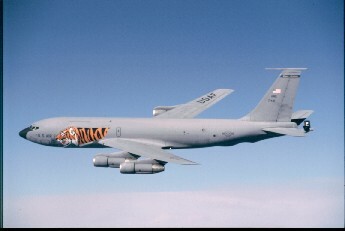 Military KC-135 survive in bigger numbers then the 707 due to the CFM-56 reengine program, although most JT-3D engined versions are being withdrawn by 2010. 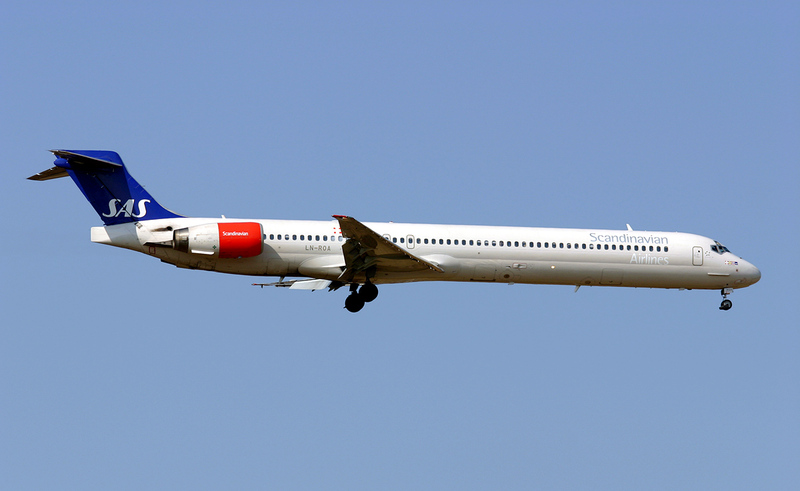 MdDonnell Douglas prepared the MD-95 as DC-9 sized modern aircraft. 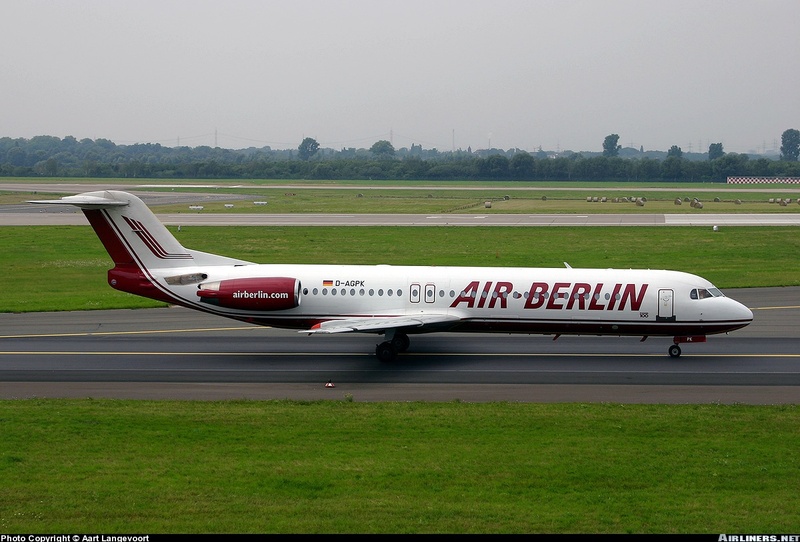 After Boeing took MDD over, the aircraft was remarketed as the 717 but failed to gain more then 155 orders, production ceased in 2006. 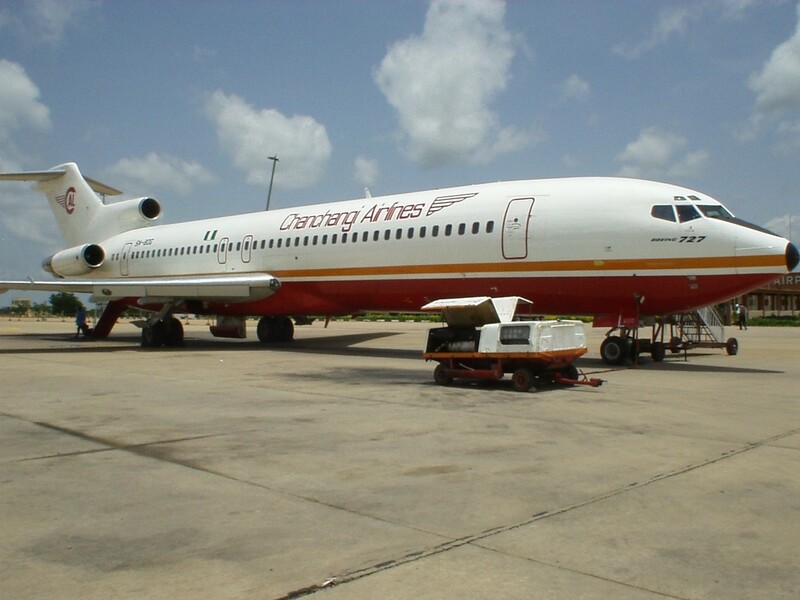 The 727 first flew in 1963 and was the most succesfull jetliner for a long time. 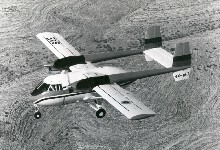 The short -100 was built til the early 1970s. 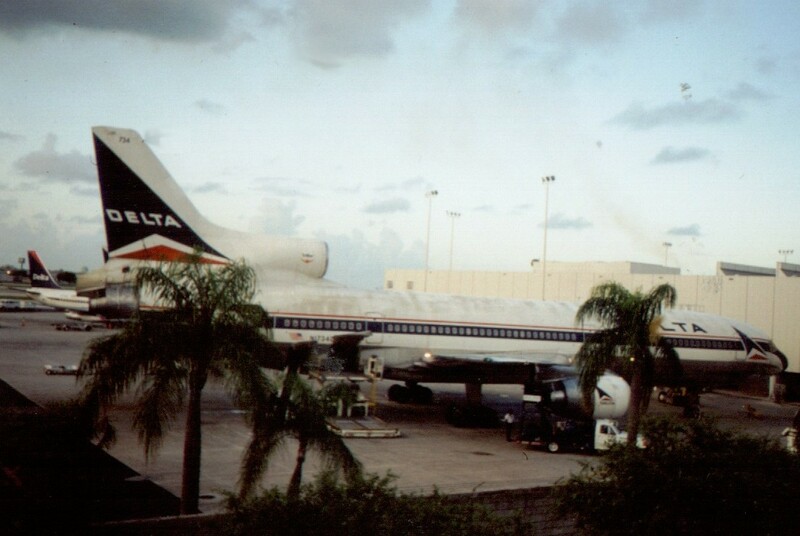 The longer 727-200 was the most successful variant and has played a major role especially in US domestic aviation in the 1970s til 1990s. About a quarter still survives mainly as cargo converted aircraft. 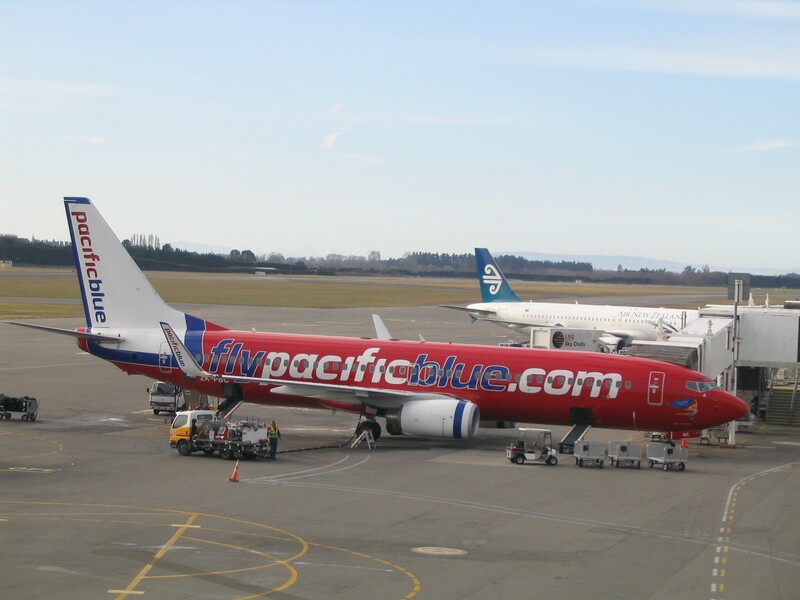 The Next Generation 737 was announced in 1993 and being built since 1997, it remains head to head with the A-320 family. 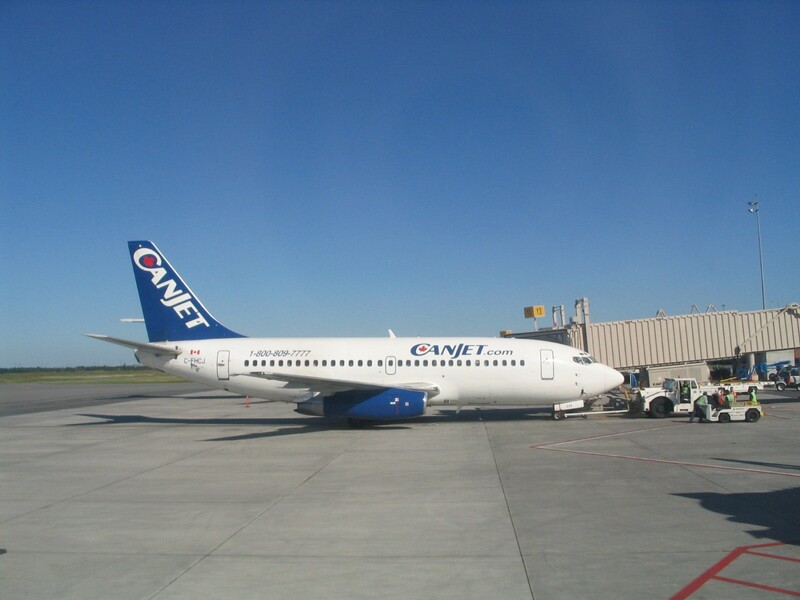 The total 737 family reached the 6000 sold and 5000 built mark by early 2006. 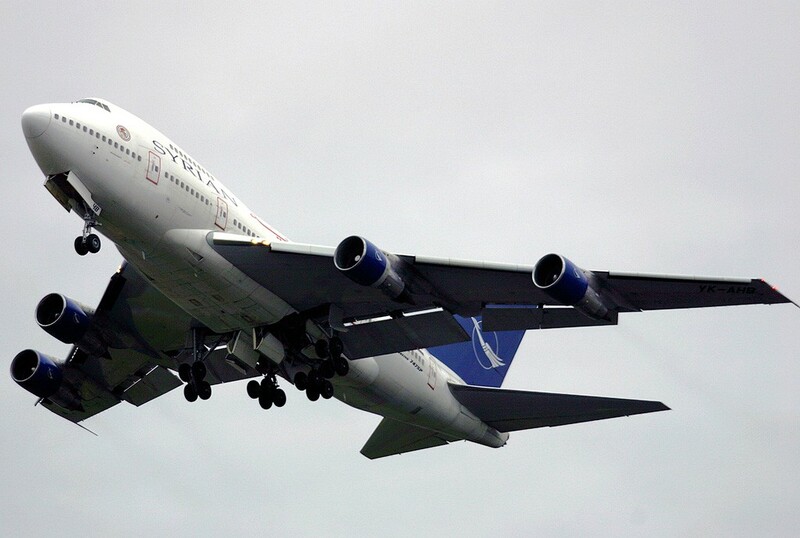 The Boeing 747 Jumbo Jet first flew in 1969. 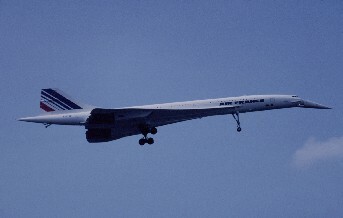 Its upperdeck was based on the idea the aircraft could easily carry on as a freighter, when it would became superfluous due to supersonic transports. 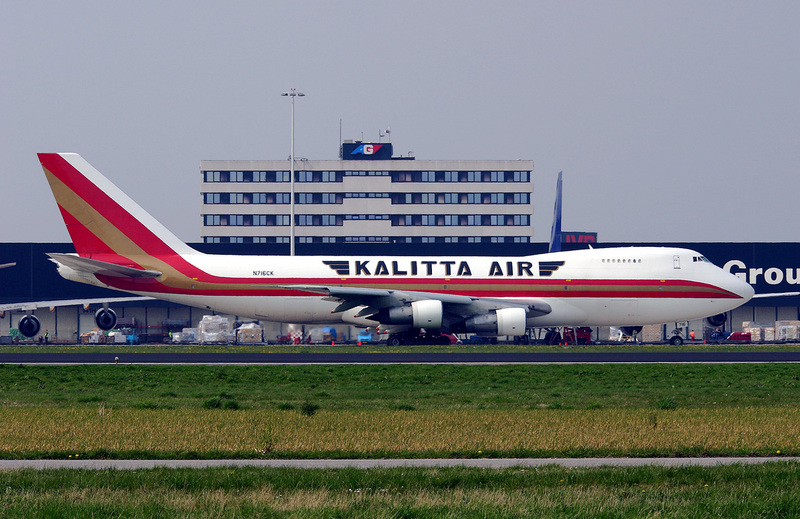 The short bodied 747SP was a gawky niche aircraft for long distances, the 45 aircraft built have become obscure relics. 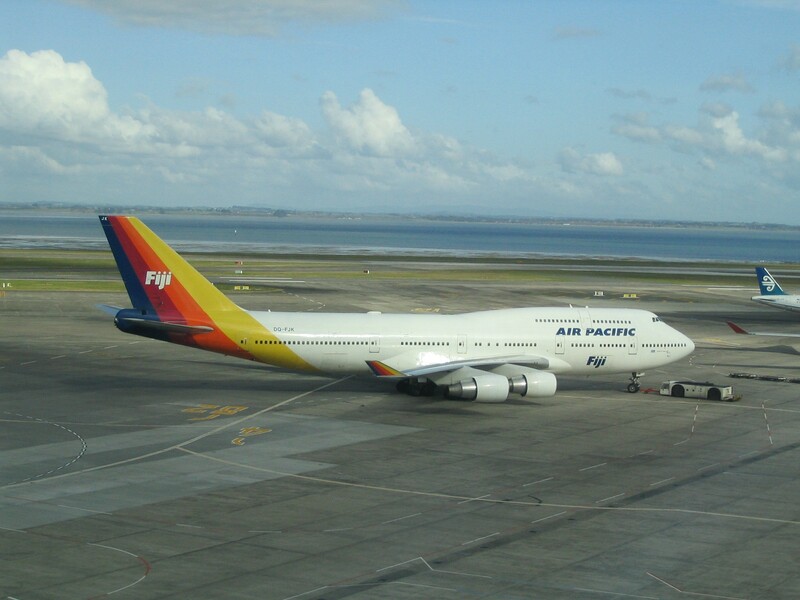 The 747-400 variant was sold since 1988 but lately lost market share against two engined widebodies. 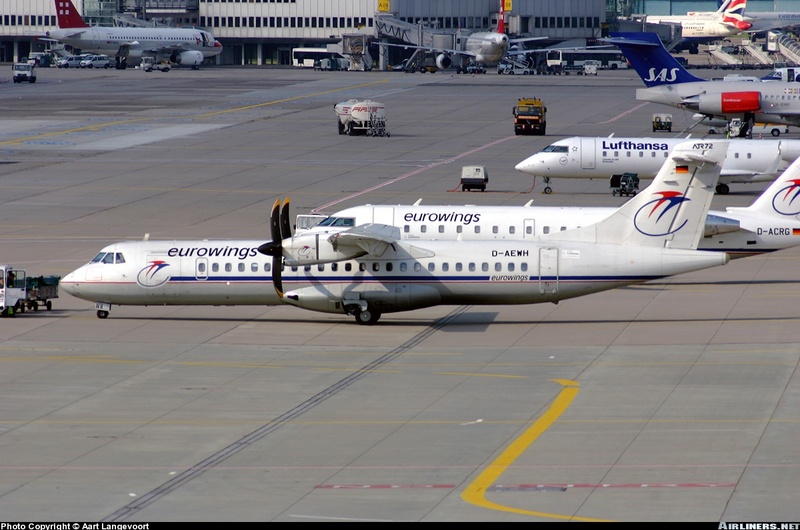 The new longer -800 was launched in 2005 but mainly attracts interest by cargo airlines. 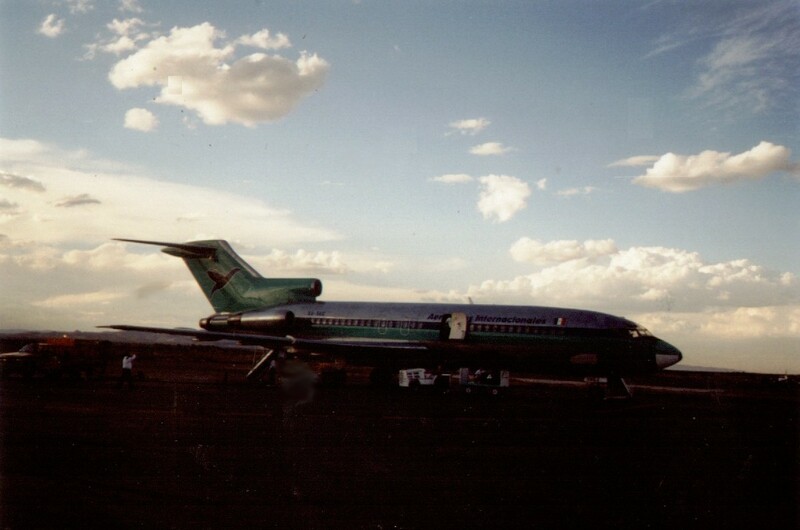 Together with the 767, Boeing launched this 727 follow up in 1978. 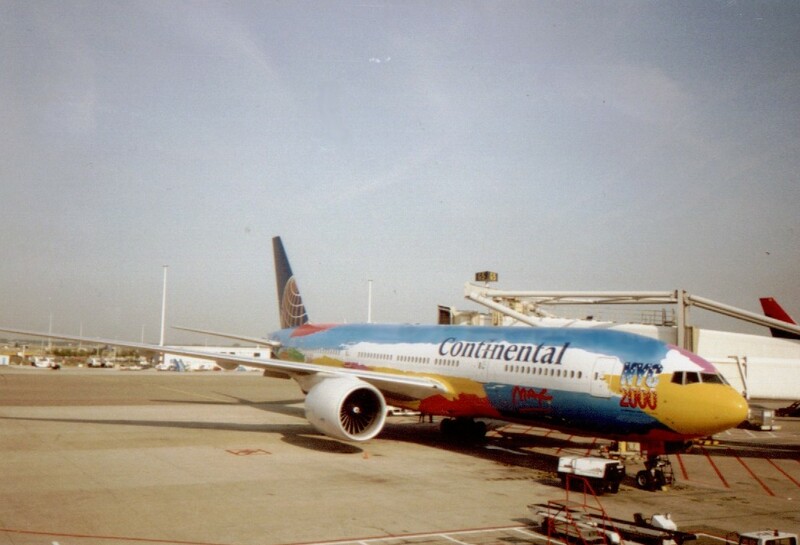 It became a reasonable success especially in the USA, although production ceased in 2005. 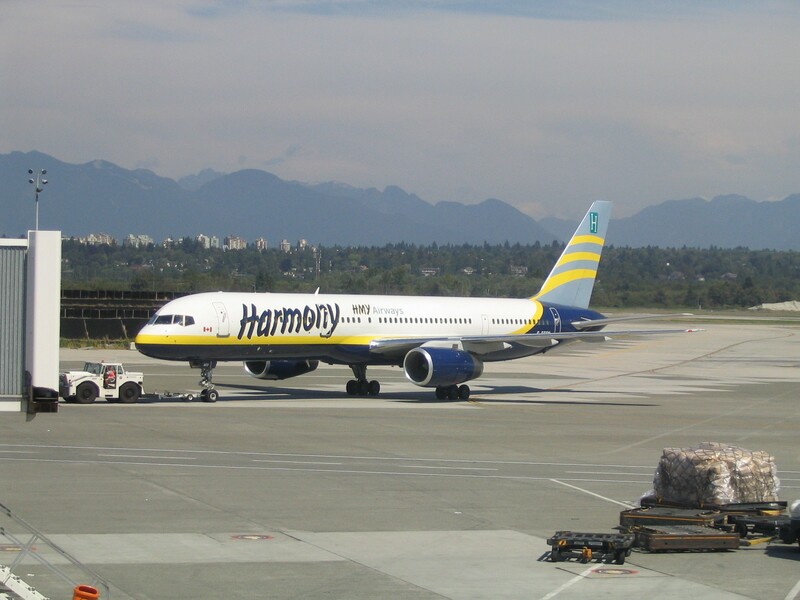 The ultra stretched 757-300 came into service in the late 1990s but was too late to gain more then a few orders. 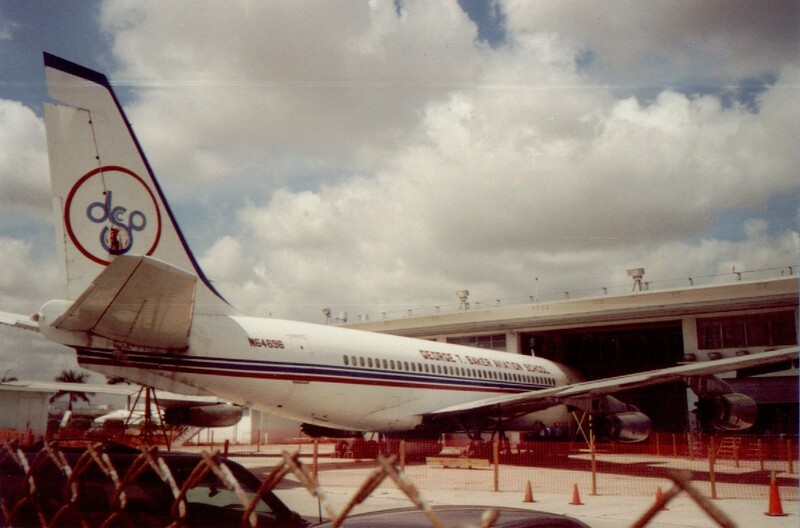 Boeings first widebody twin, as answer to Airbus A-300 and 310, was the 767. After a slow start, especially the 300ER series sold quite well. Production continues at a trickle by 2006. This biggest twin jetliner in service first flew in 1994. 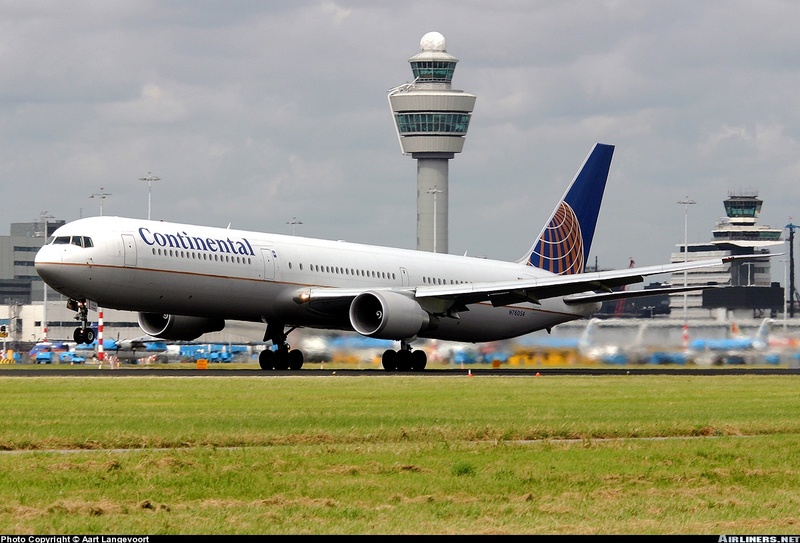 Together with the 200ER, the stretched 300 and the 300ER (in service since 2005), the 777 is now the most popular big long range aircraft on the market. The 787 is also selling very well, first flight expected mid 2009. The 787 is also selling very well. Boeing was too eager to roll out on 7-8-07 and suffered a two year delay but deliveries are finally speeding up by late 2012. Originally built by McDonnell Douglas, this 4 engined transport jet is mainly used by the USAF, with about 230 built by early 2011. 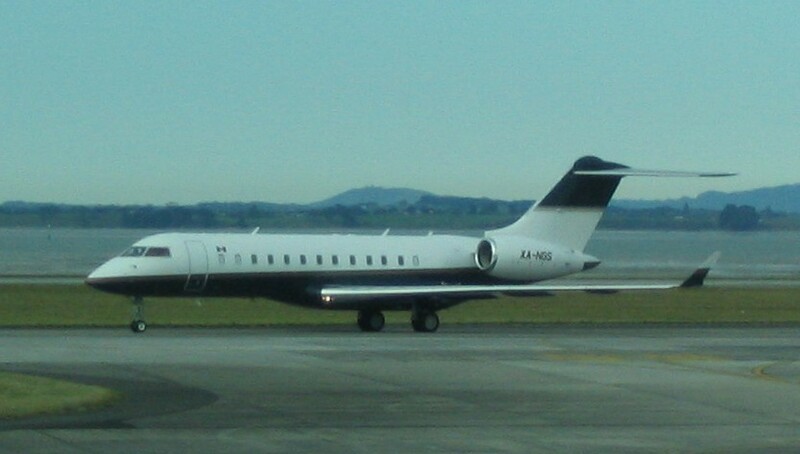 The Global Express was launched in 1991 and first flew in 1996, it's one of the largest business jets available, while the Continental is slightly smaller. 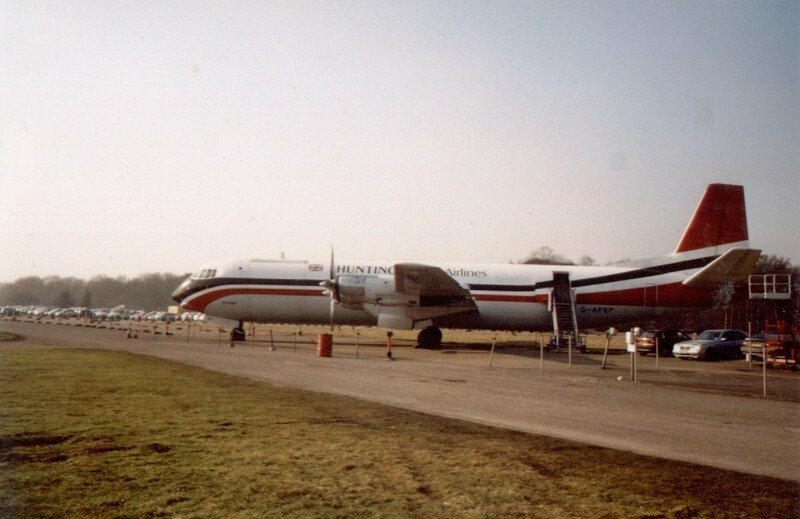 The Britannia was the only western long range turboprop airliner, but failed to sell well. 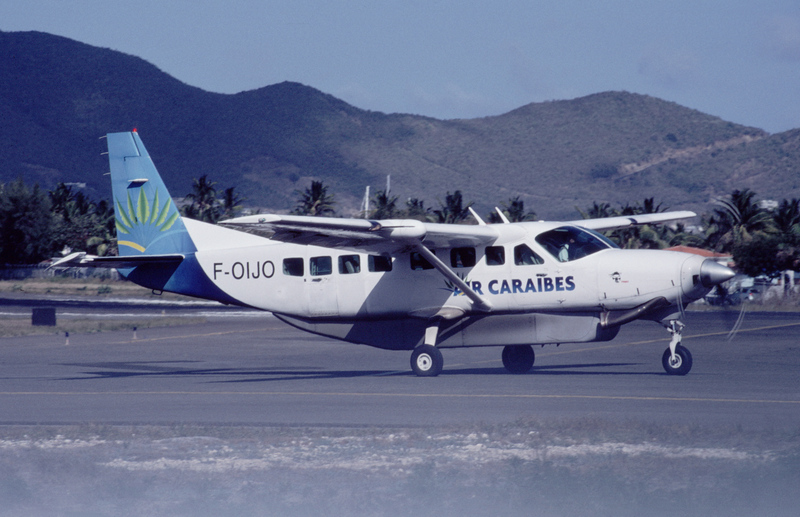 More than 1000 of the 9 seat Islander have been built in the last 40 years with production continuing. 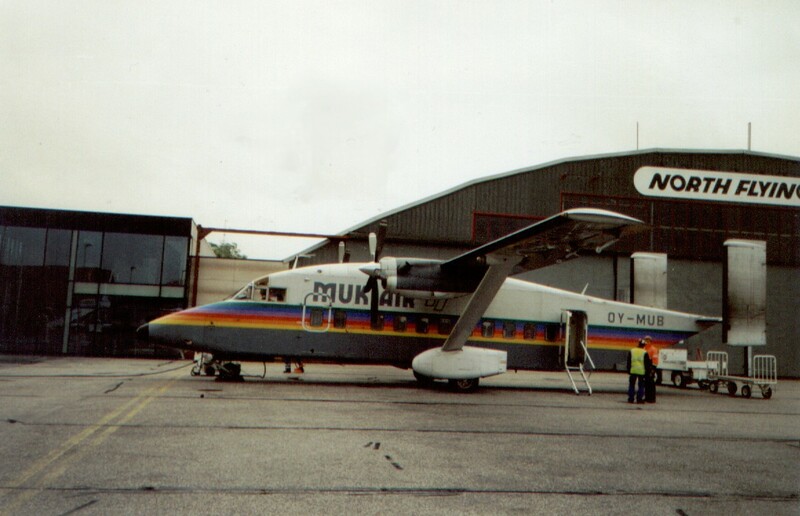 A variation of the small Islander (9 seats) was the three engined Trislander (17 seats). Few of them are built and still in service. 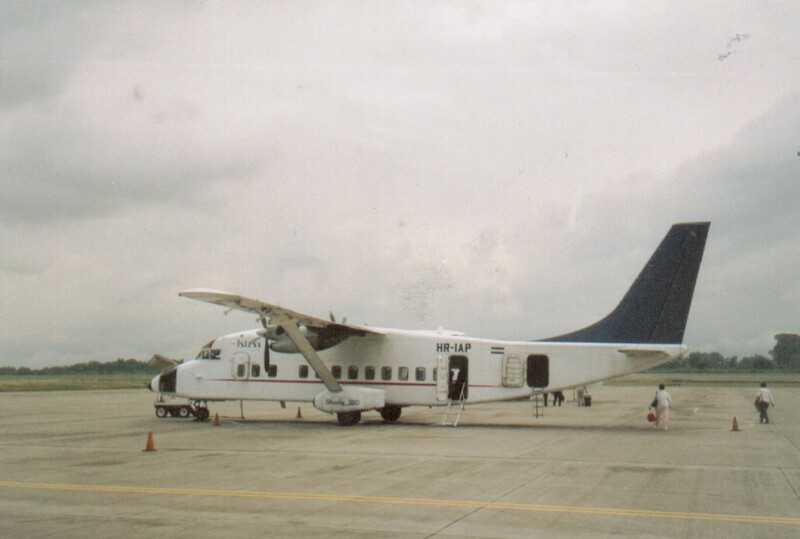 The CL-44 was a derivative of the Brisol Briannia and has been in cargo service til the end of the 20th century . 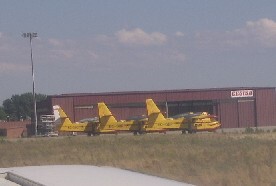 The CL-415 is a turboprop engined firefighter and still in production. 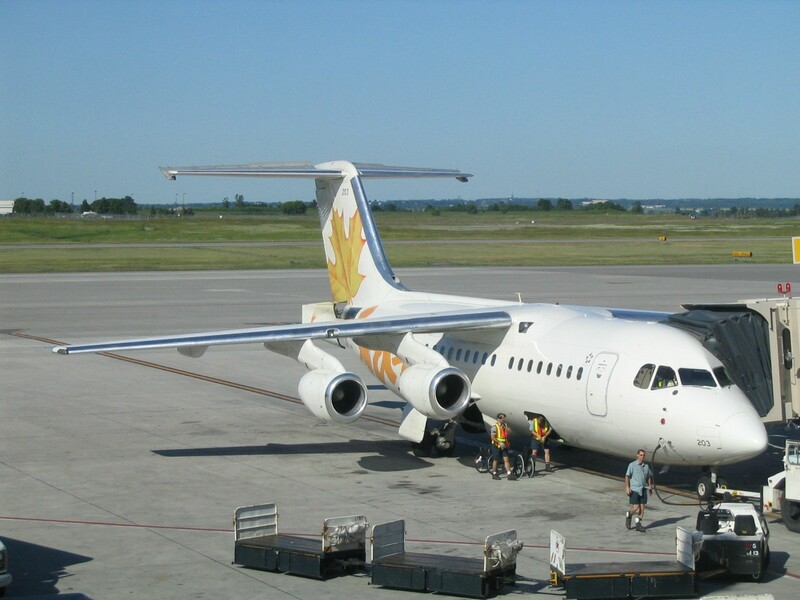 Canadair was already experienced with their Bizjets, a stretched version of the Challenger was launched in 1991 aimed at the Regional market. 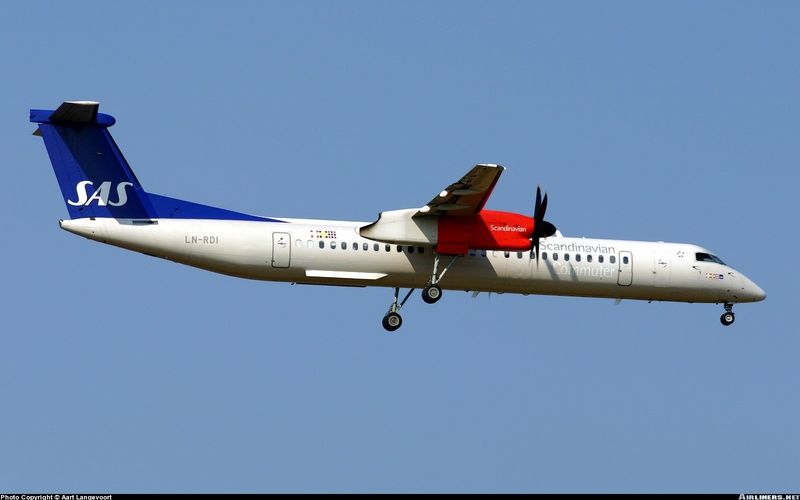 While production of the 50-seaters have stopped, the 70 to 90 passenger versions still sell reasonably. 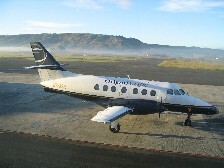 The Challenger is a fairly large businessjet, originally based on a LearStar design. The latest versions are still in production. Spains Casa C-212 Aviocar has sold 430 units mainly to military operators. 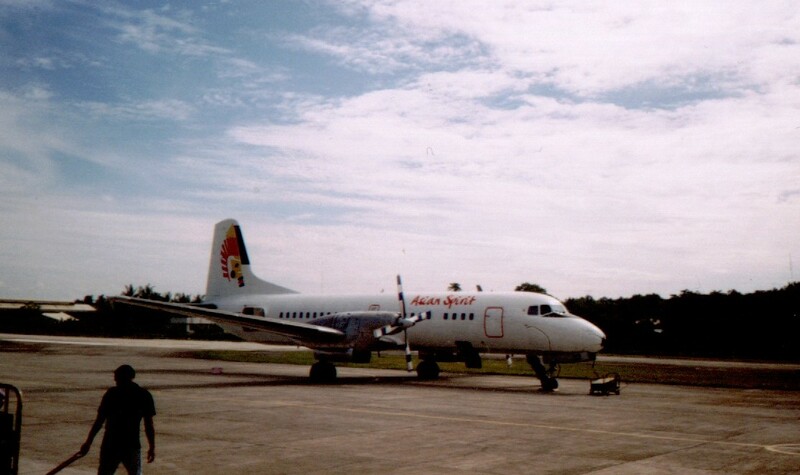 ;like Its follow up, the CN-235, the aircraft are licence-built by Nurtanio in Indonesia as well. 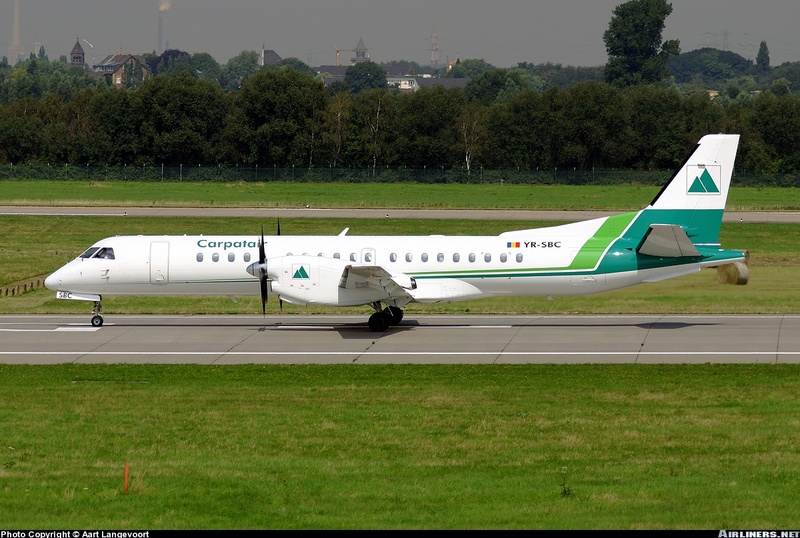 The larger C-295 is only built in Spain. 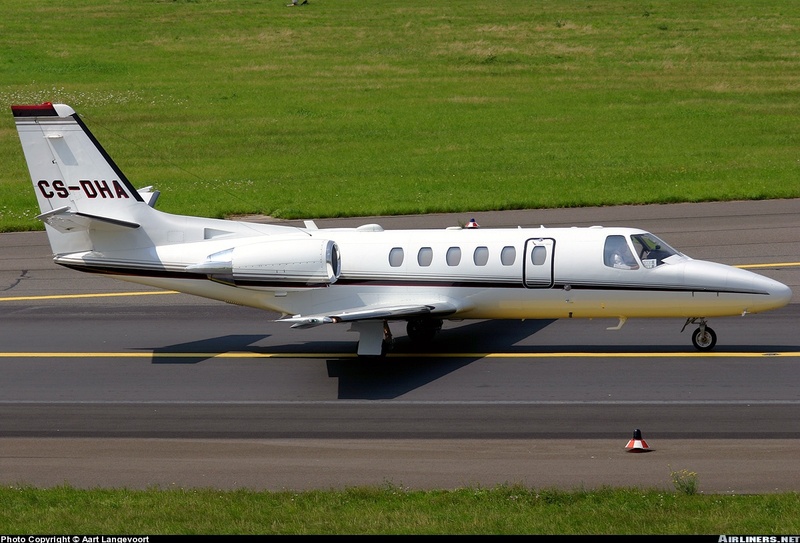 The development of the Citation bizjet family started in the mid 1960s, seven subtypes are still in production today. Convair built more then 1000 piston engined 240/340/440s more then 100 survive 50 years later, mostly converted with turboprops. The Convair 880 and 990 were faster but less economical then its main competitors, the 720 and DC-8, and few were flying beyond 1980. The C-46 was way bigger then the DC-3 and more then 3000 were built during WW 2. 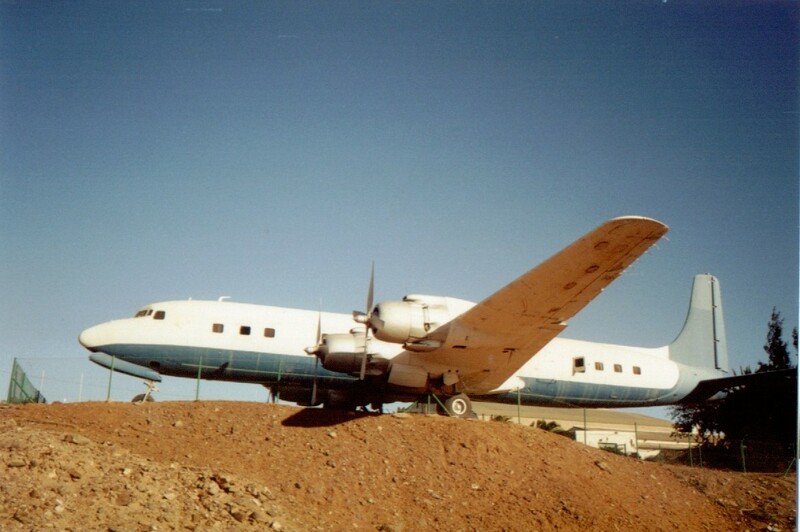 Unlike the prettier DC-3, very few C-46s survive, a dozen are still airworthy. 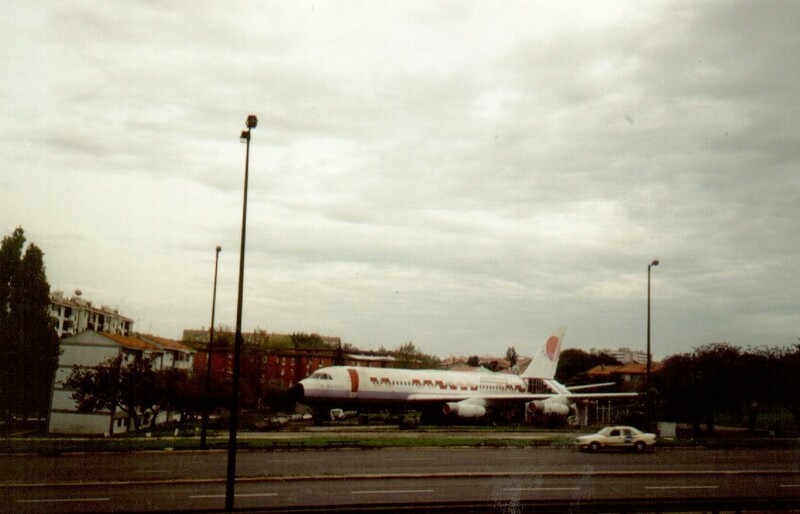 The Mercure was a marketing failure due to its short range which made it unattractive for airlines with a route structure with longer routes -like almost all airlines. 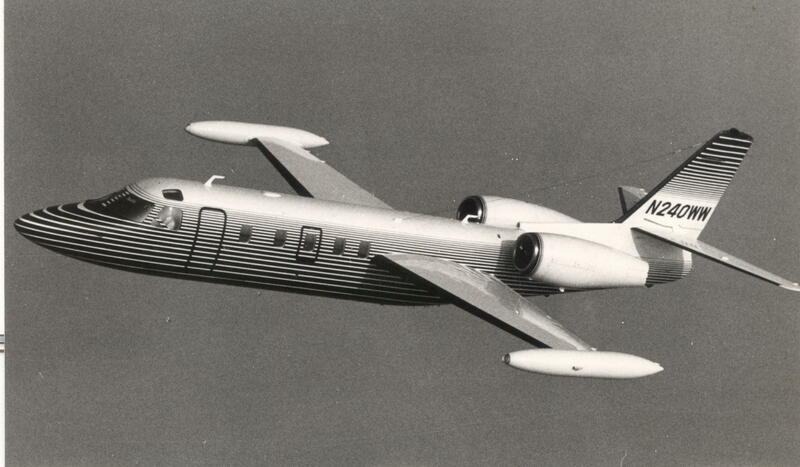 The bizjet Falcon is still in production though. De Havilland Canada made more then 2000 single engined water planes, most of them still serve after more then 40 to 60 years. 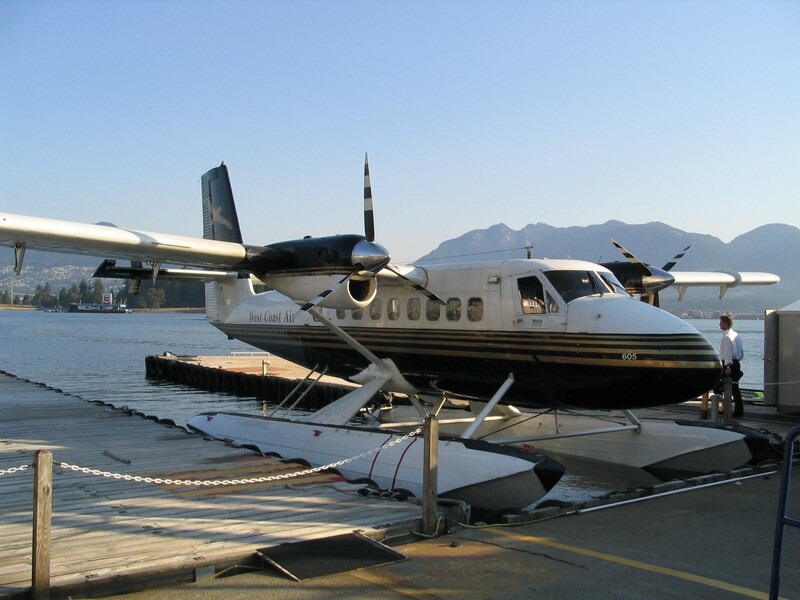 The bigger two turboprop engined version of the Otter is a timeless commuter transport. 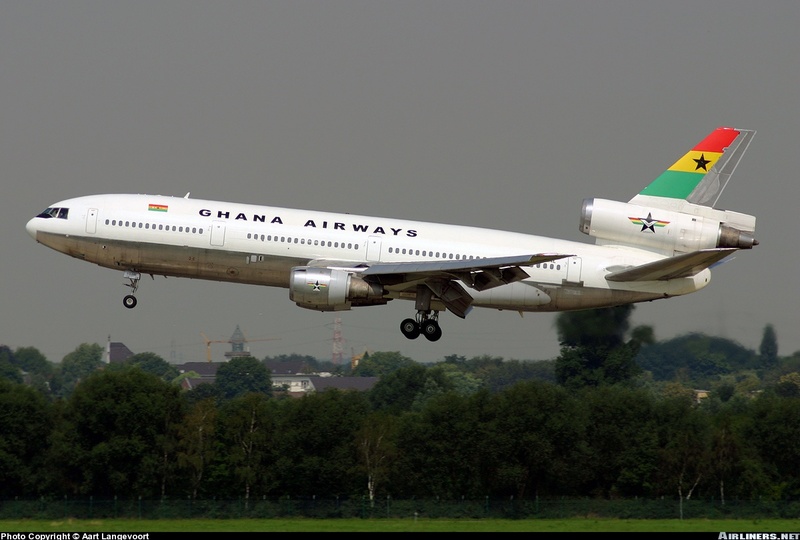 Almost 40 years after its first flight, most are still flying in less developed areas. 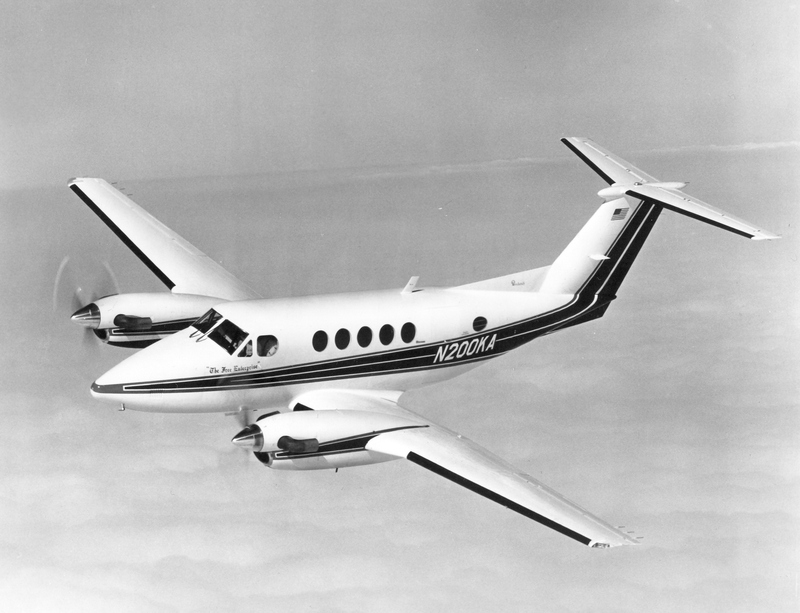 The 2-engined commuter with versions of 37 or 50 seats proved to be a successful commuter aircraft. Launched in 1983, it is still being built by 2006. 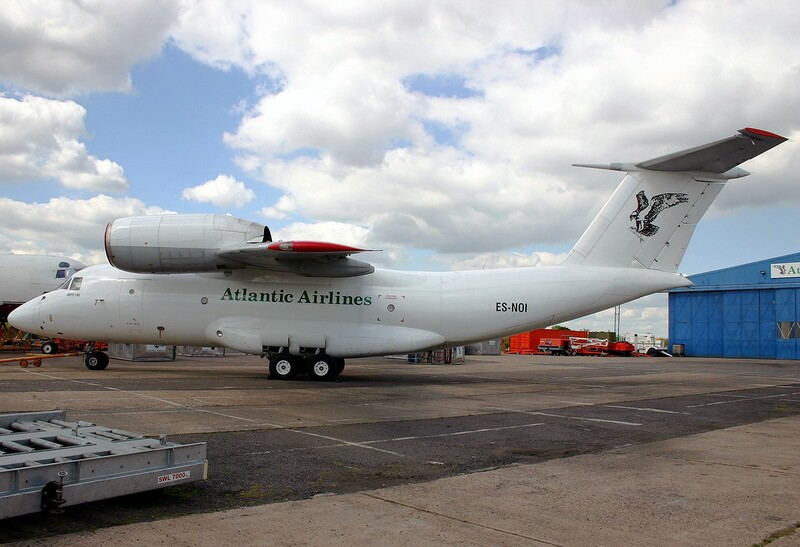 The stretched version of the DHC-8 for up to 76 seats is a slow but steady seller but can't manage to catch up with the fenomenal sale of the ATR. It's now the only version of the '8 still in production. 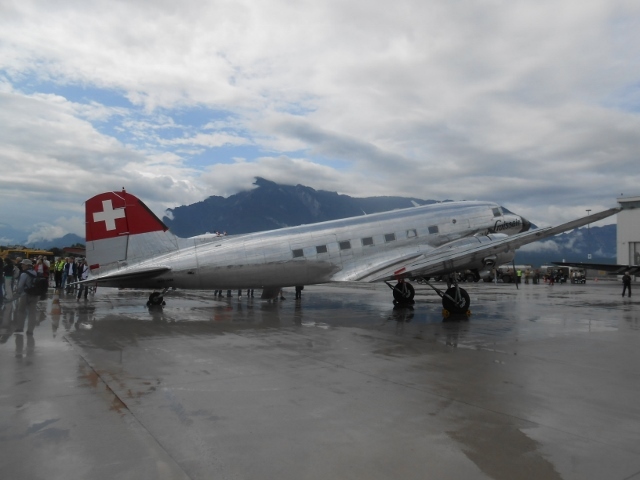 The DC-3 is the most important airliner ever built. With a production of almost 12.000 aircraft plus more in Russia, more then 100 are still airworthy even almost 80 years after its first flight. The first of the big Douglas four engined pistons was mainly built for the US Air Force during the 2nd World War. 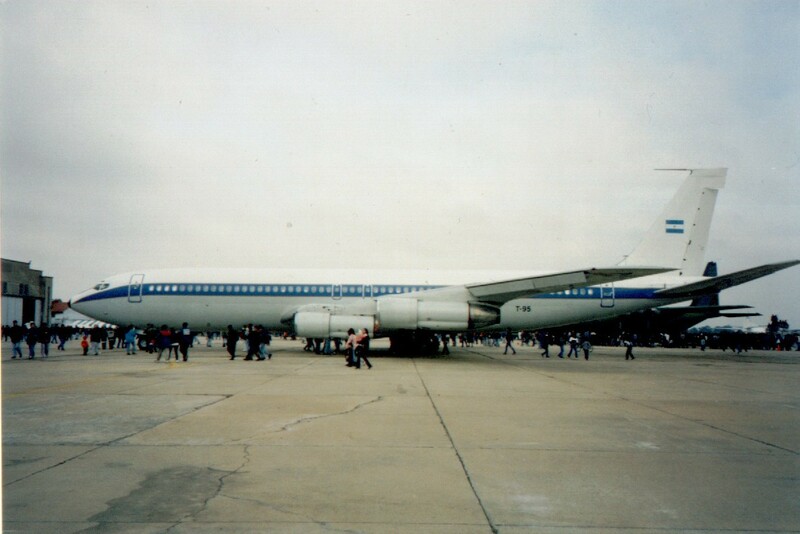 Douglas answer to Boeings 707 was the DC-8. It first flew in 1958. 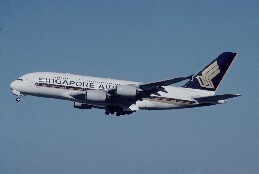 Both aircraft shared the position of main intercontinental trunk airliner till the Jumbo's became popular. 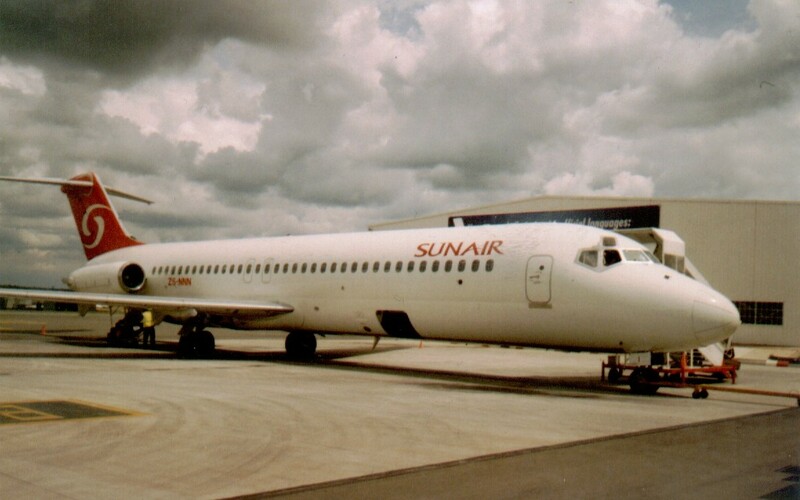 The modernized MD-80, a slightly stretched and reengined MD-90, was too late and had some snags preventing it to be ordered and built in significant numbers. 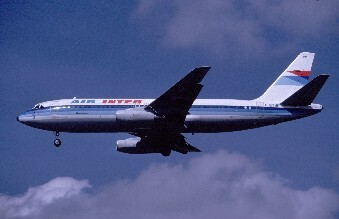 The Douglas DC-10 first flew in 1970. Hampered with some early design flaws and lots of bad publicity because of some crashes, the DC-10 turned out to be the better seller compared to Lockheeds rival. 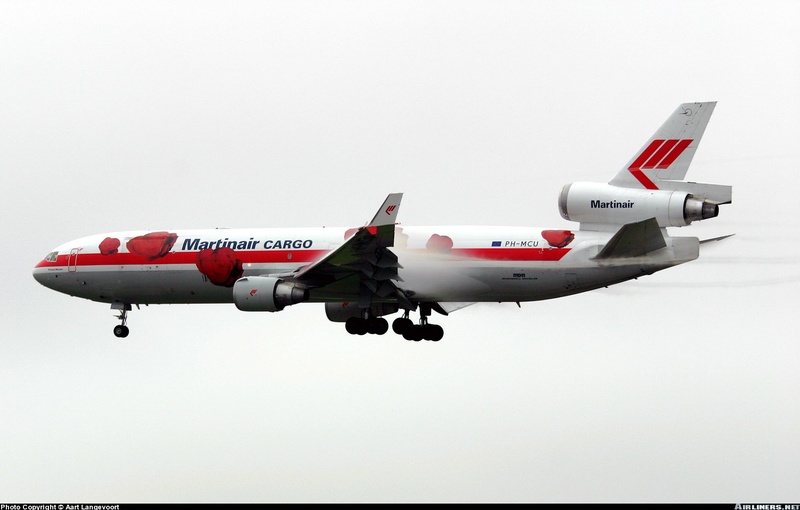 The performance of the late 80s MD-11 lacked compared to what MDD promised, although the 200 built are now popular freighters. The single engined Do-27 was the first mass produced German airliner after the 2nd World War. 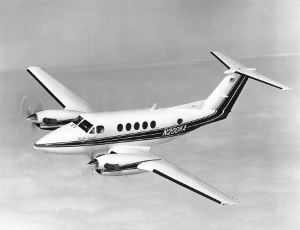 The two engined Do-28 later developed into the 228. 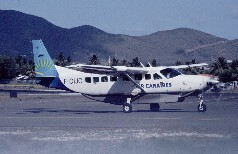 Dornier launched its 19 seater in the early 80s. 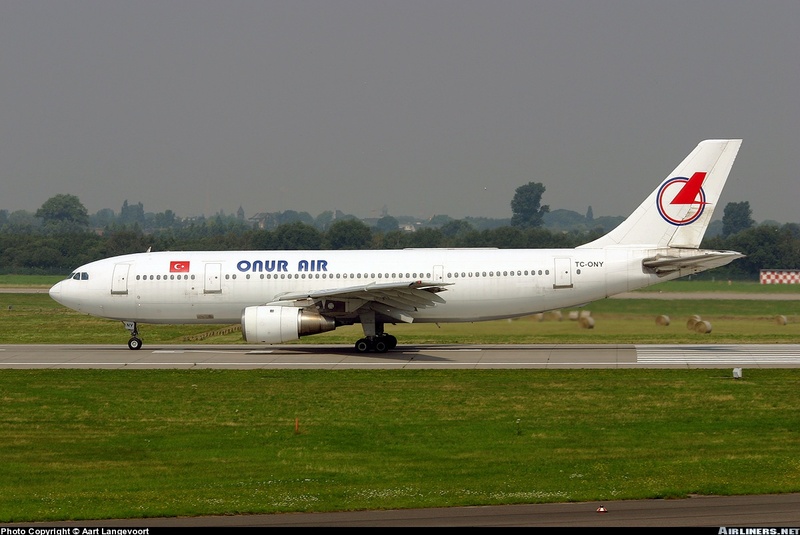 It had modest success both with airlines and airforces. Production in Germany came to a standstill with 247 frames but continues in licence in India. The small and light Eclipse bizjet project collapsed during the 2008 crisis. Still already about 270 were built in less then three preceding years. photo: Eclipse EC-LHV at Palma de Mallorca, summer 11, collection Werner Fischdick. 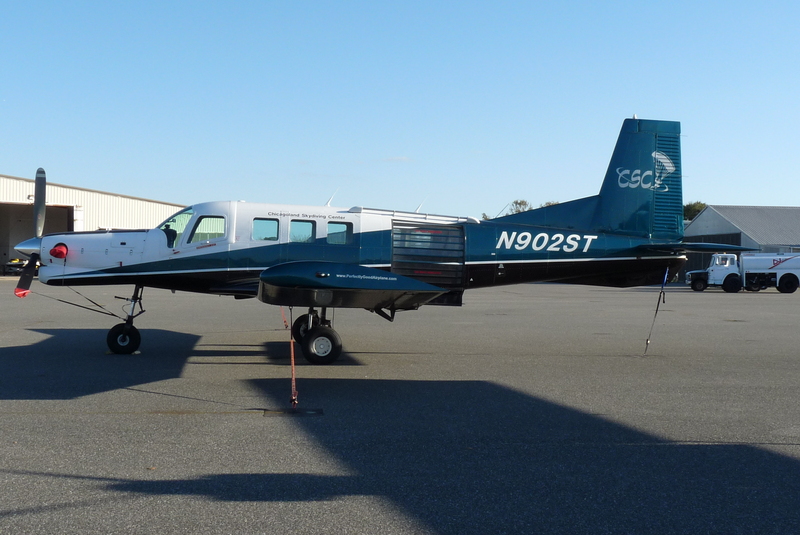 The Epic LT is an American kit-built single-engined turboprop aircraft intended for use by private pilots. 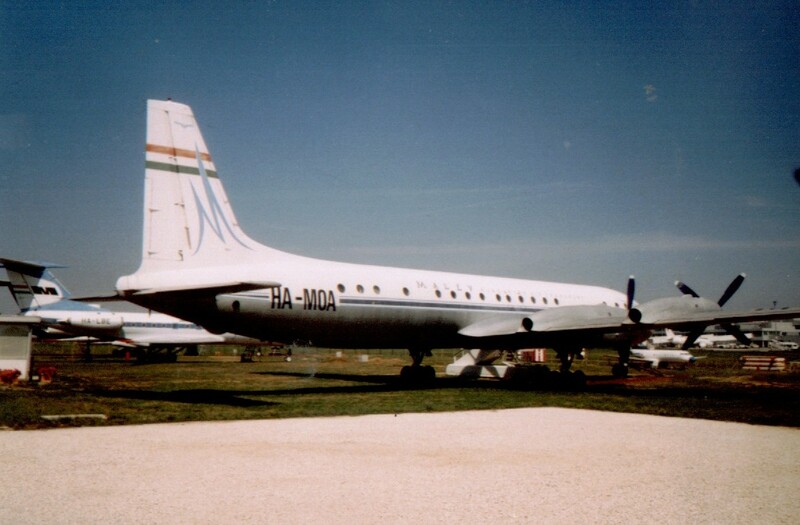 Embraer had international success with it's 19 seater commuter Bandeirante, which first flew in 1968 and remained in production till 1990. 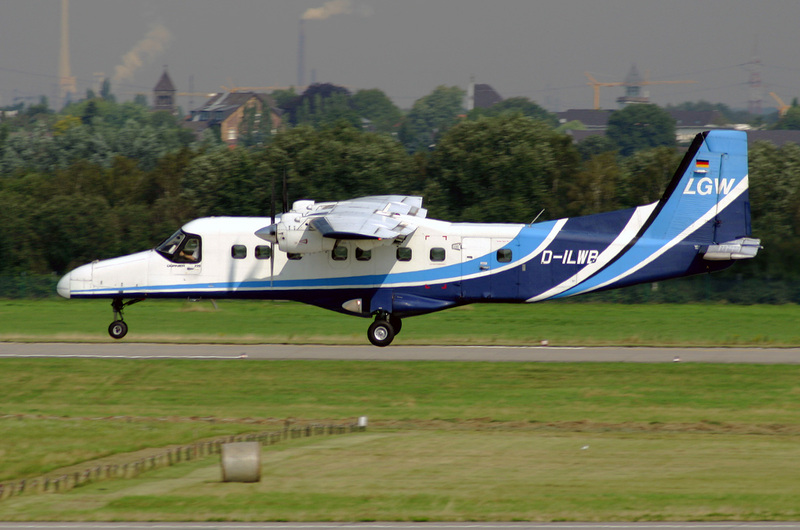 It was the main competitor against the DHC-6 and Metro. 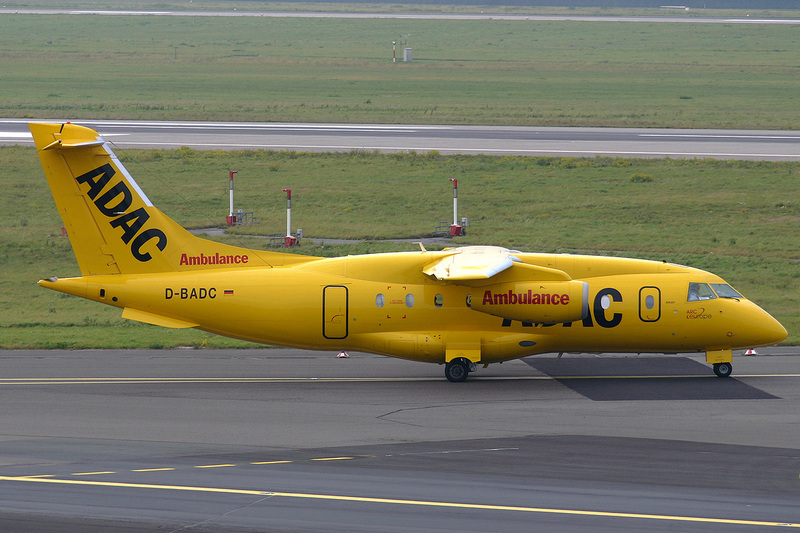 Two slightly shorter versions of the successful E-145 family, with 35 and 40 seats respectively. 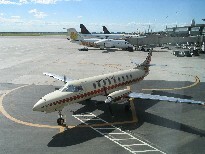 As a response to the popular Canadair Regional Jet, Embraer launched a stretched jet-version of the Emb-120 turboprop. After a difficult designing stage; the wing mounted engines didn't work out, it became a success. 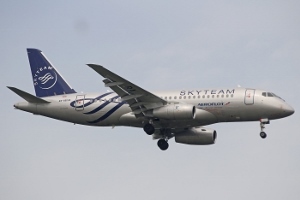 After interest in 40-50 seater jets faded somewhat, Embraer became the leading small commercial jet manufacturer with a good selling 70 to 120 seat family with wing mounted engines. 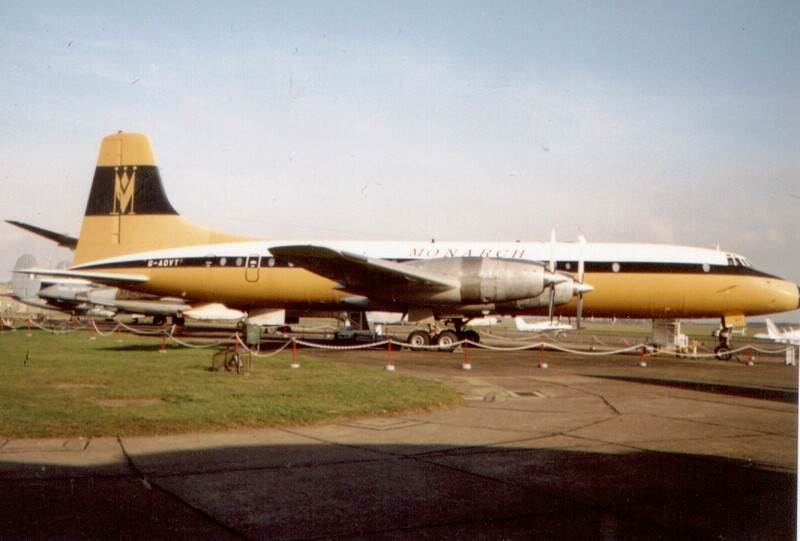 Fairchild licence produced the popular Dutch F-27 Friendship, but only sold about 200 of them. The F-27 Friendship first flew in 1955. 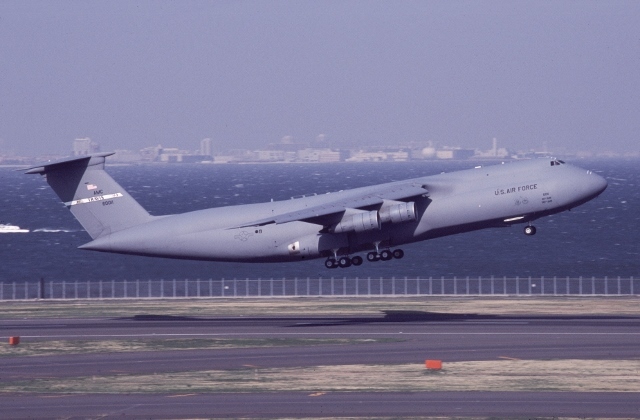 It immediately attracted attention by airlines and airforces worldwide. 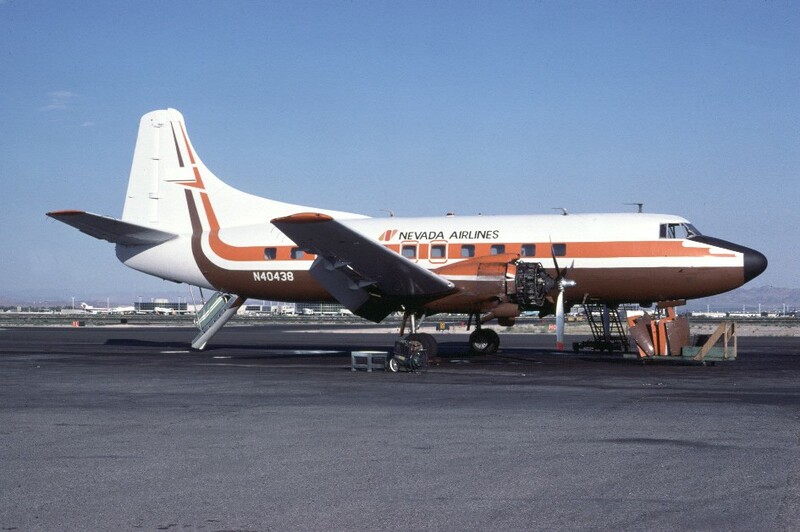 Maybe the F-27 family was the closest thing to the ideal replacement of the DC-3. 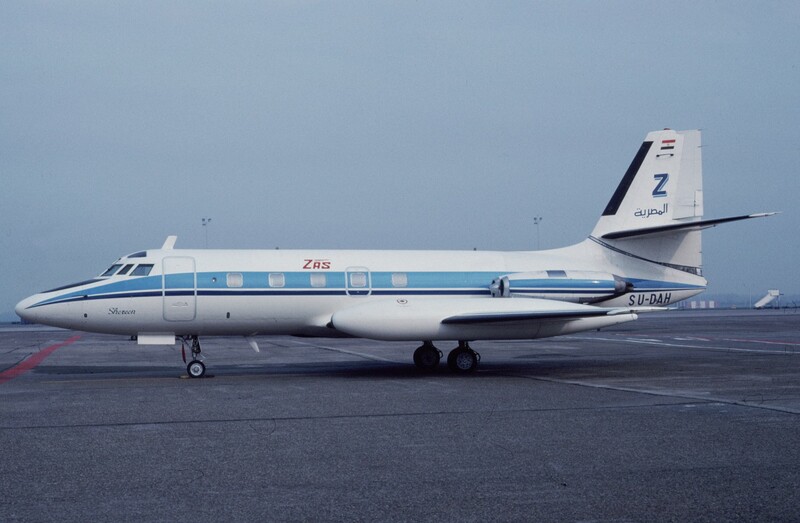 The Dutch manufacturer decided to build the 65 pax twinjet F-28 Fellowship (later stretched to 85 pax) in the mid sixties. It had an appeal in underdeveloped countries with its rugged structure. 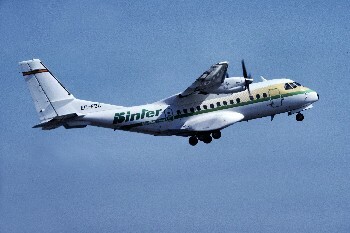 Fokker built the Fokker 50 as re-engined follow up of the successful F-27 Friendship. 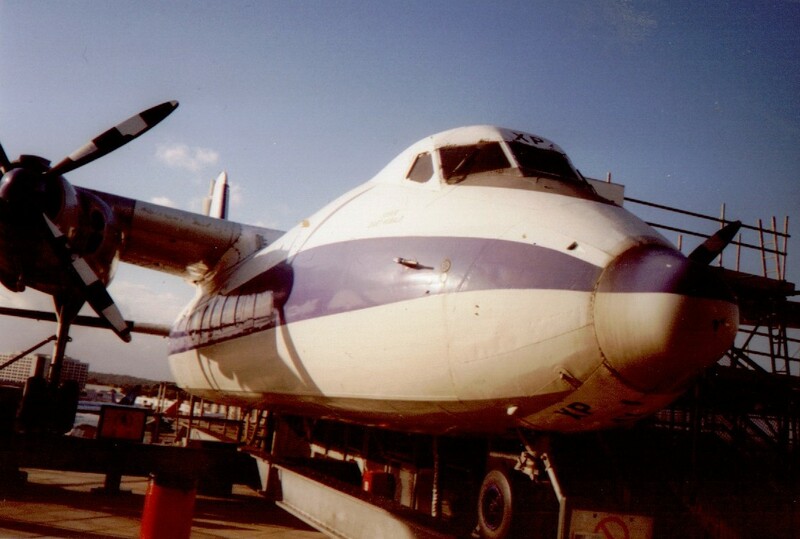 After a reasonable orderbook start right after 1986, sales lagged behind the ATR-42 and DASH-8. 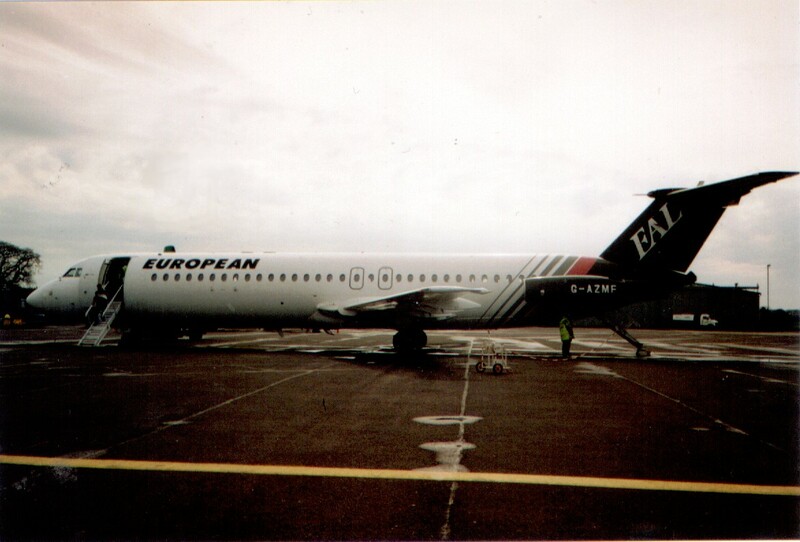 The Fokker 100, an up-to date re-engined development of the Fokker F-28 Fellowship, made it's first flight in 1986. The shorter F-70 became a success but couldn't save Fokker from bankruptcy. 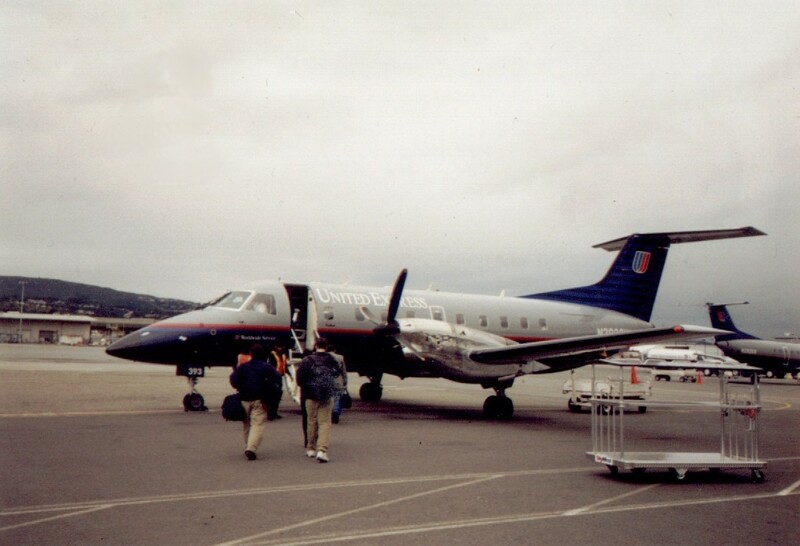 The first regional jet, 44 seats, perhaps came 25 years too early. 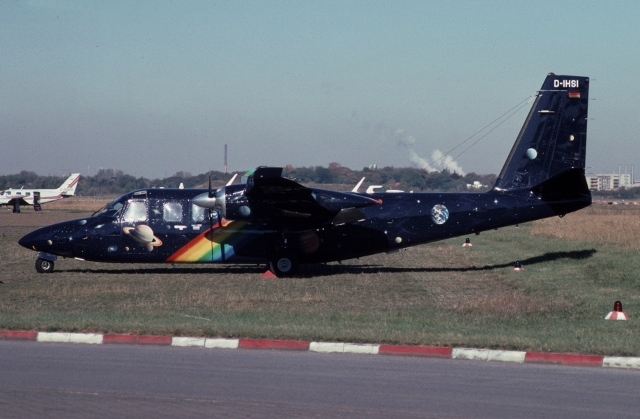 Only a handful were sold, and it was a reason why the cooperation between Fokker and VFW (West Germany) failed. The sole Australian airliner, with max. 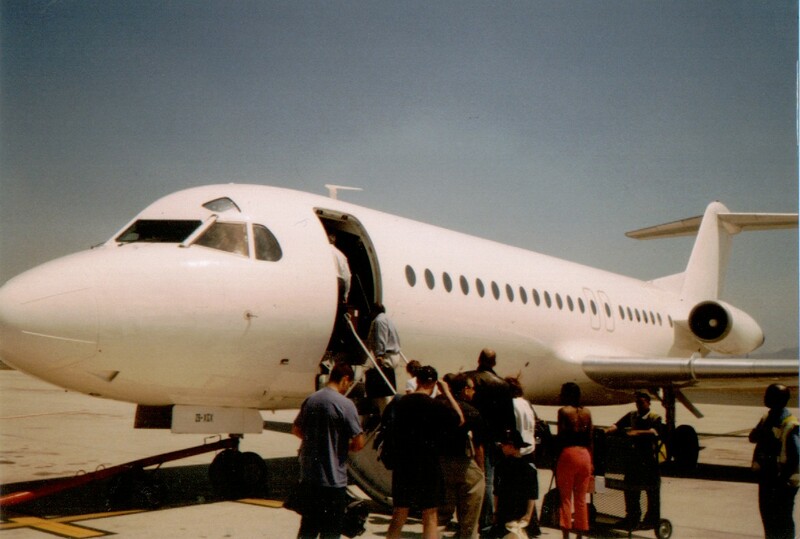 seatcapacity of 19 passengers, had a modest success with about 170 built. a small Australian built uitilty aircraft, with max. seatcapacity of 7 passengers, had a modest success with about 250 built. 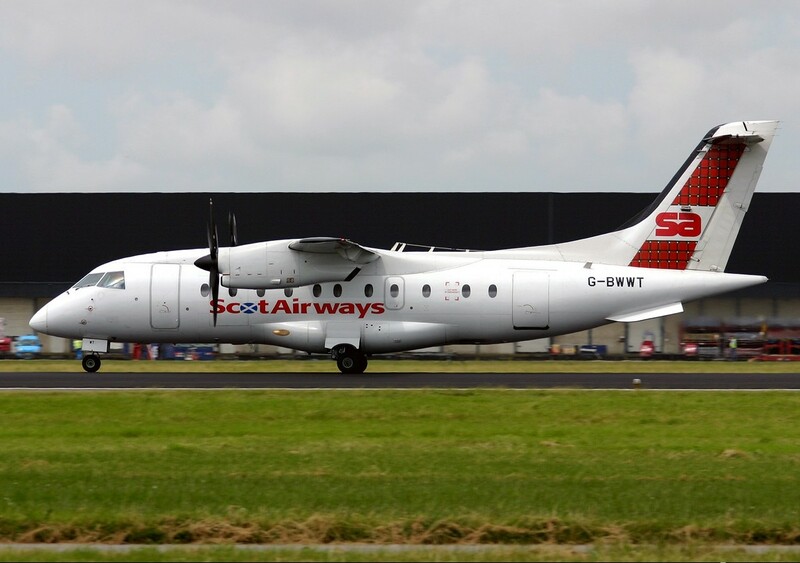 The G-159, fitted with two Dart turboprops, was aimed at the business market but has also seen some airliner service. Some of the 200 built are still in service. 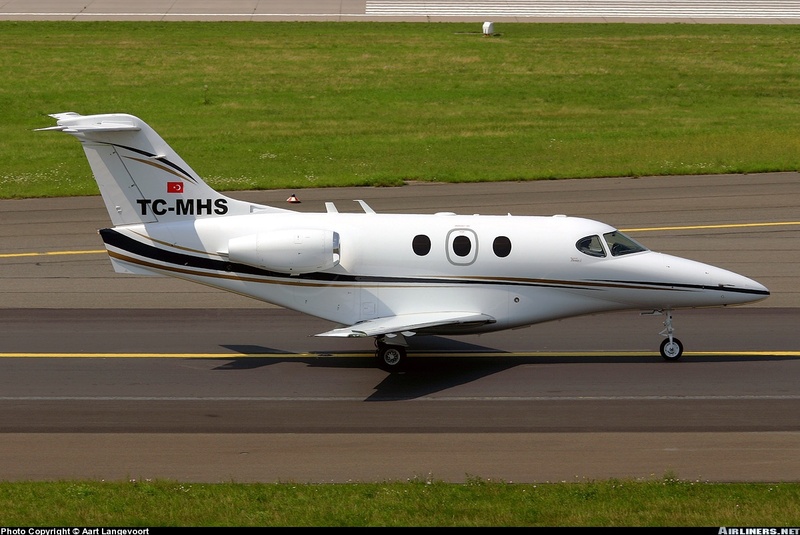 This high end business jet has seen a production run so far of over 1000. The Herald first flew as four engined piston aircraft. The production version resembled the F-27 but lacked the succes of the competion, only 50 were built in the late 1950s and 60s. None are now flying. 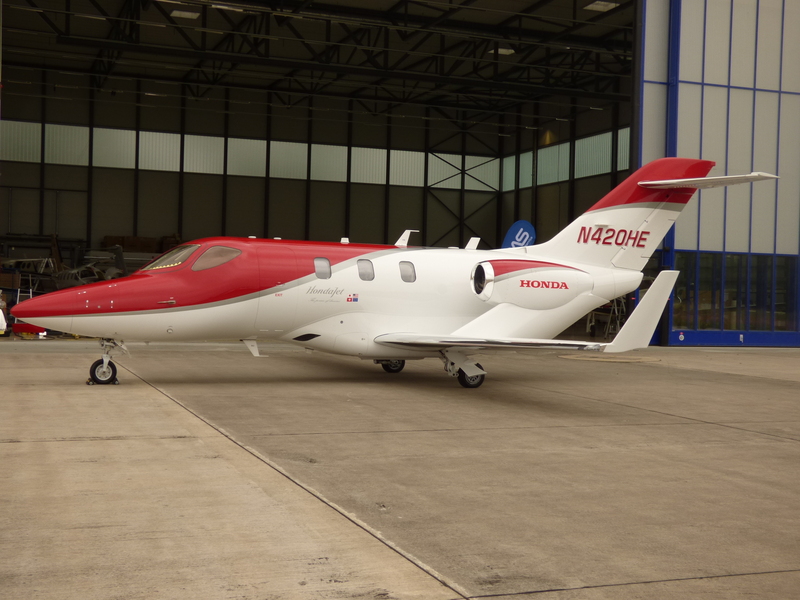 This light bizjet flew for the first time in 2010, with deliveries due to start in late 2016. 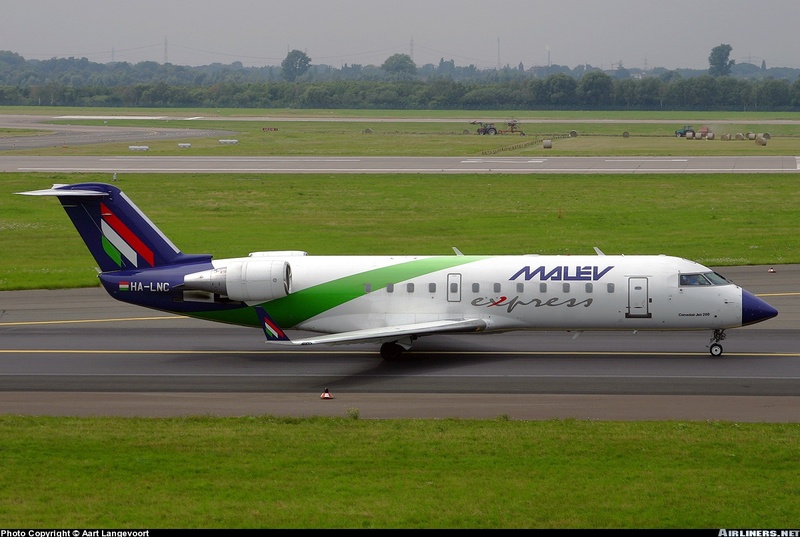 This small prop aircraft, the only airliner Israel has produced (so far) was mainly bought by airforces and has hardly seen passenger service. 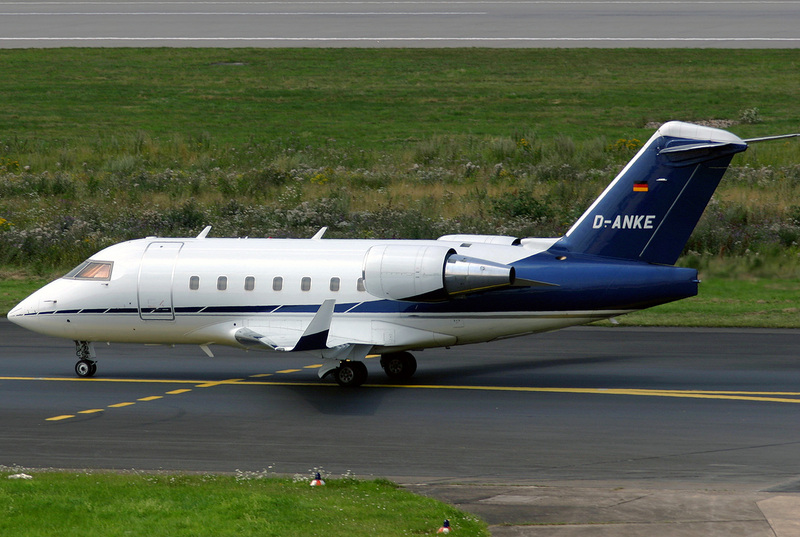 The IAI Jet series consist of a line of mid sized business jets. 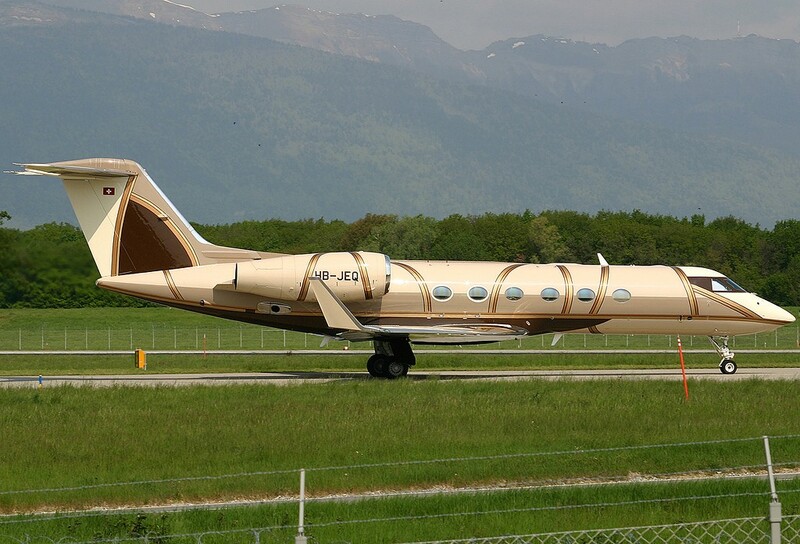 IAI and Galaxy were taken over by Gulfstream Aerospace around 2000. elegant aircraft was revolutionary and a first in many aspects. 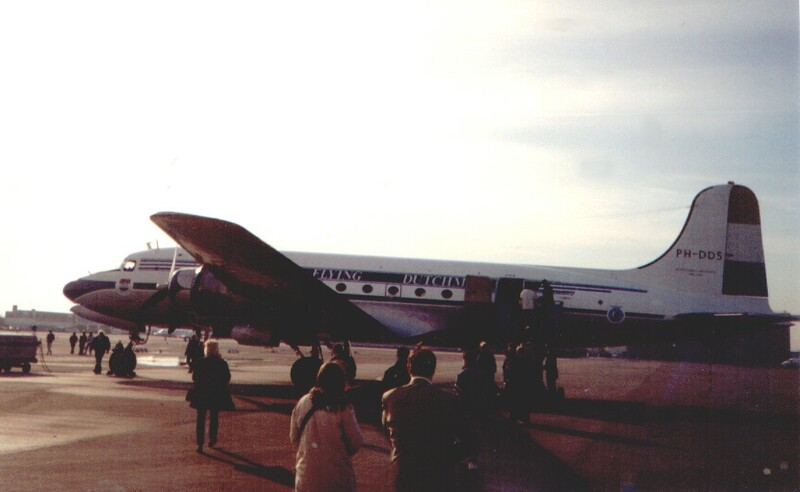 While the Electra lacked appeal compared to the early jets, communists could choose efficiency over consumer preferences, and built the comparible Il-18 as their main medium hauler. The first long range jet of the Soviet Union with the same performance as the DC-8/707s was surprisingly similar as the British VC-10. 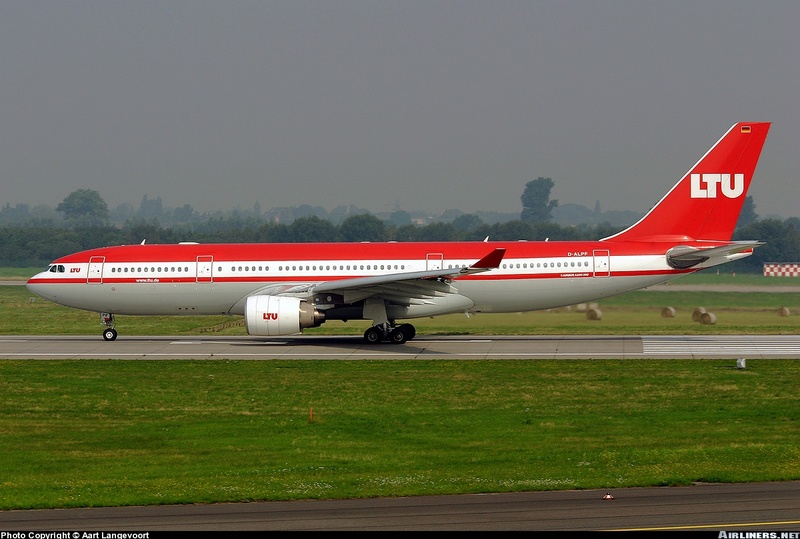 The jumbo Il-86 and 96 haven't gained the same popularity. The Learjet series found their roots in 1963 with the Lear 23. 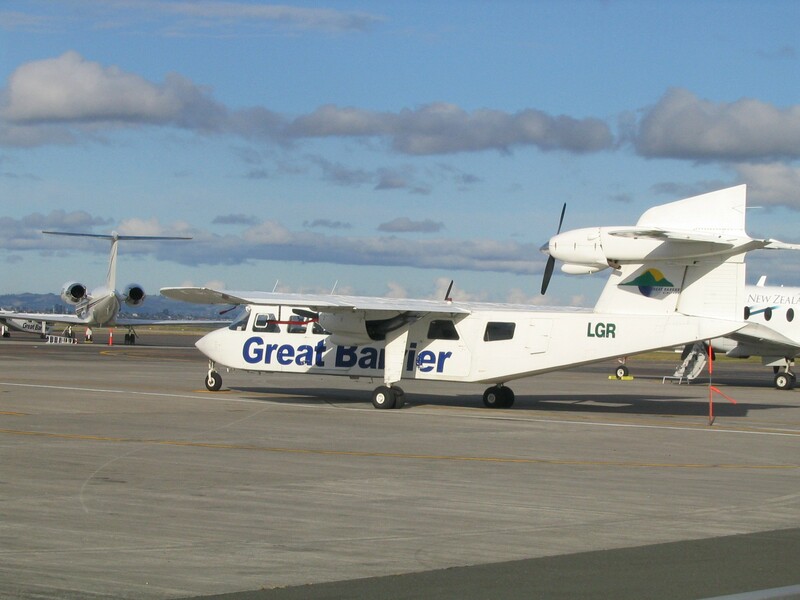 Gates Lear was acquired by Bombardier in 1990. 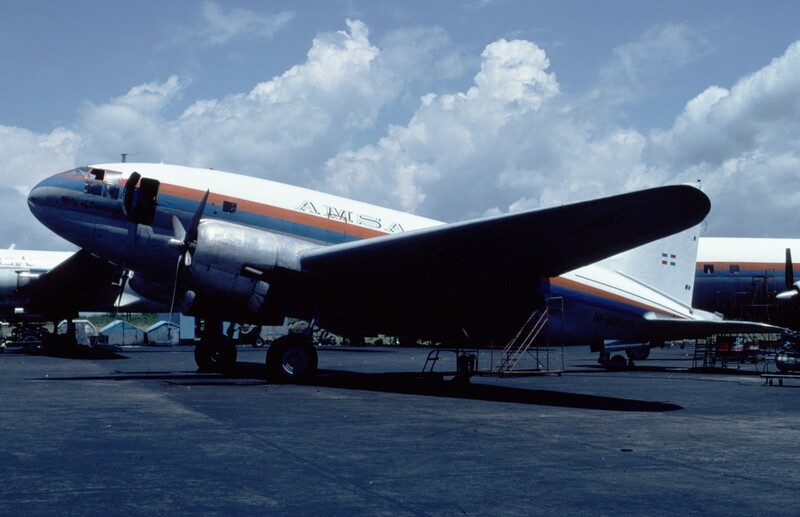 This aircraft was maybe not the most successful but the most beautiful long haul aircraft of the 1950s. Few survive with preservation groups. The Electra, even while only 170 were built, still flies cargo 45 years later. 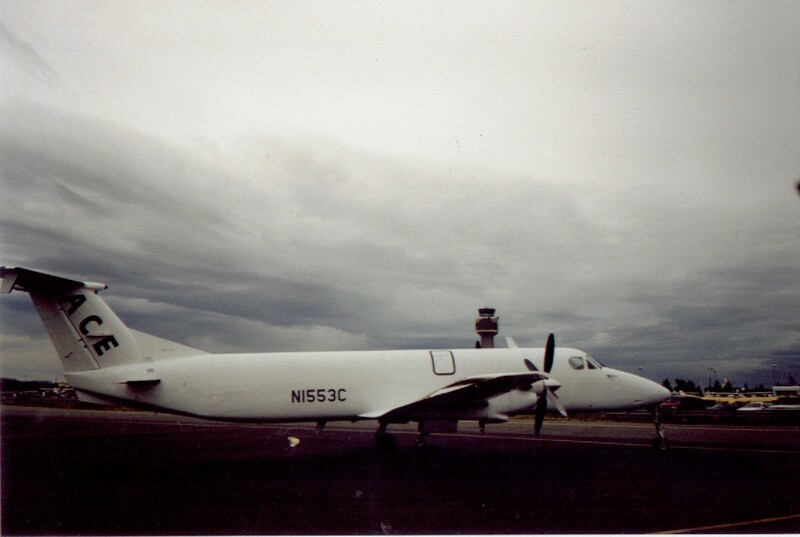 The military P-3 version is built in much greater numbers til as late as 2000, it is not featured on this site, but see the link. 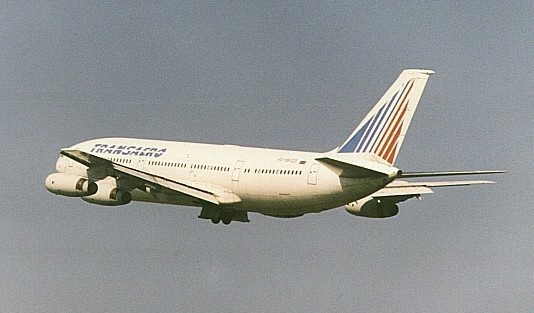 Lockheed tried to regain a position on the commercial market with this widebody, but Douglas outsold Lockheed almost twice with the similar DC-10. 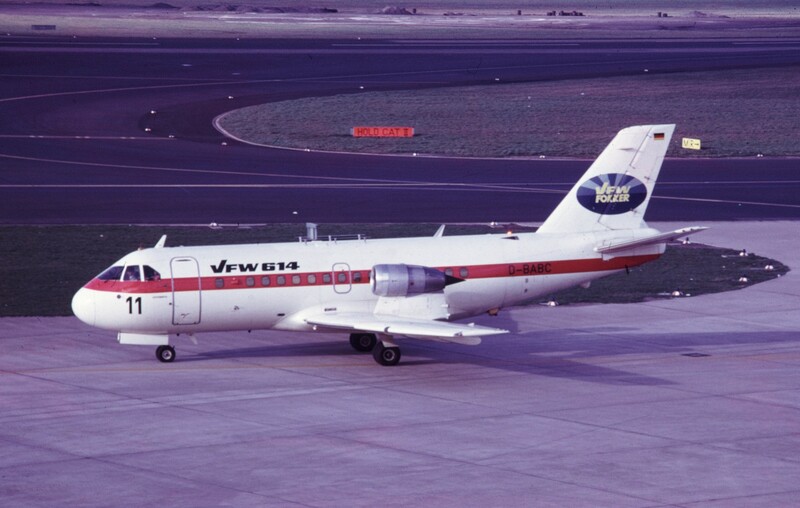 Lockheed produced the first biz jet, the four engined Jetstar. Also famous from James Bond movies. 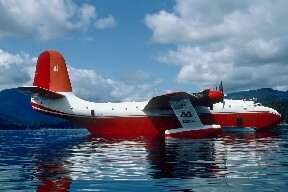 The Martin Mars is the biggest water aircraft, with two still airworthy. The M-404 contains the full histories of all aircraft. 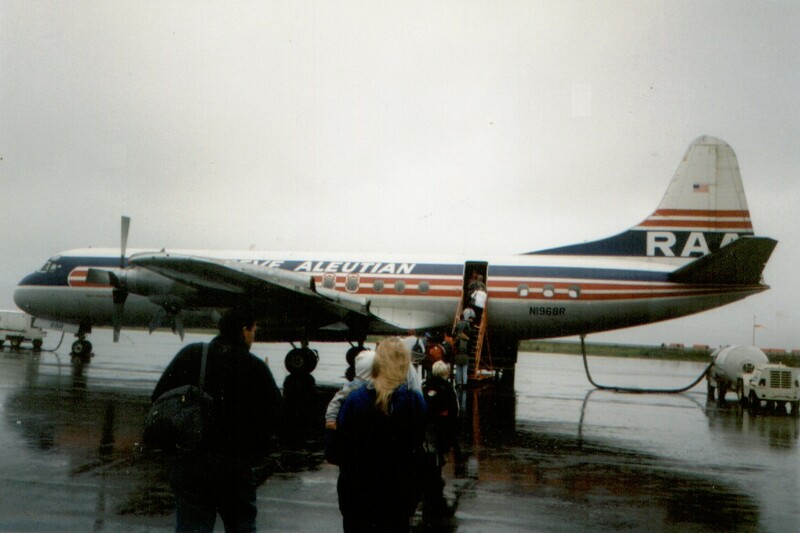 This Convair lookalike sadly doesn't fly anymore. The only Japanese airliner was the YS-11, a sturdy design with a good safety record. While production ceased in 1974 with only 182 built, it remains in small scale service in mainly Japan and the Philippines. 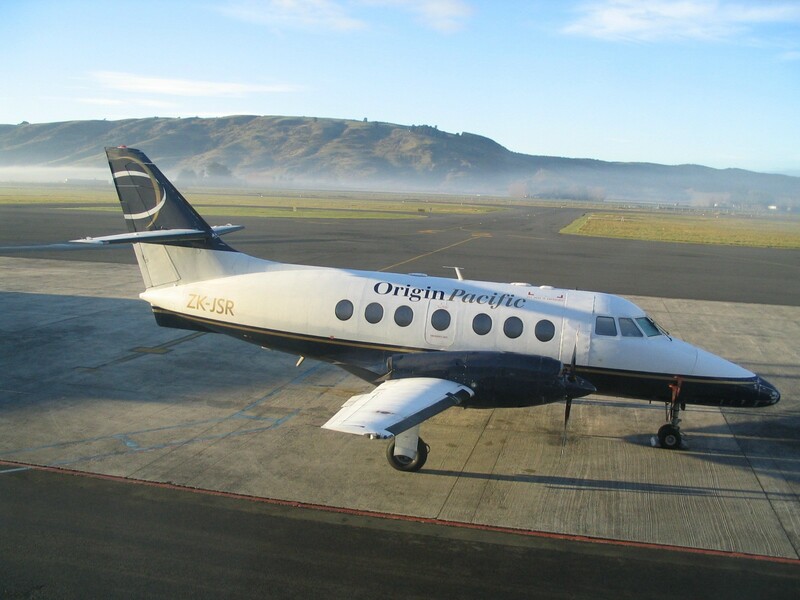 The Pacific Aerospace PAC750 is a rare New Zealand built aircraft, in prioduction since 2001 and used as geosurvey aircraft. 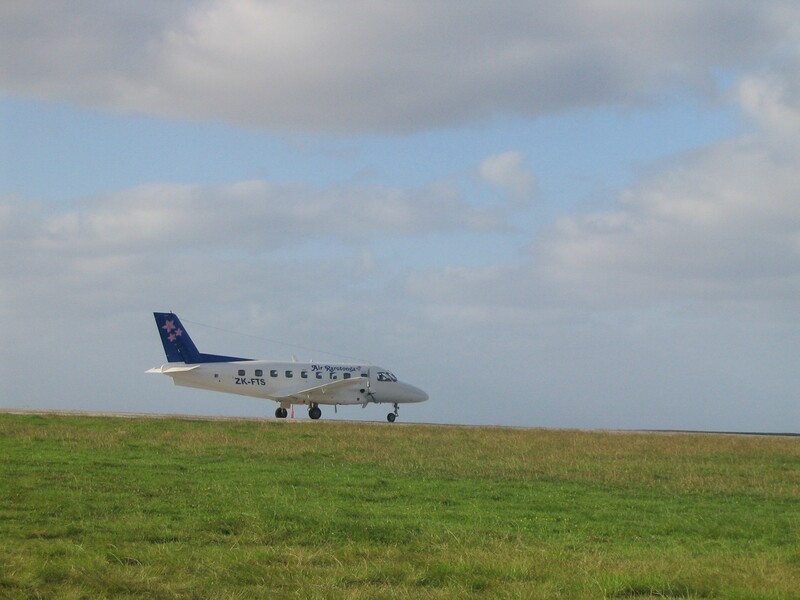 The Piaggio Avanti is an Italian twin turboprop for nine passengers. The unusual design places the wing behind and above the canard-like horizontal stabilizers and the engines in a pusher configuration. 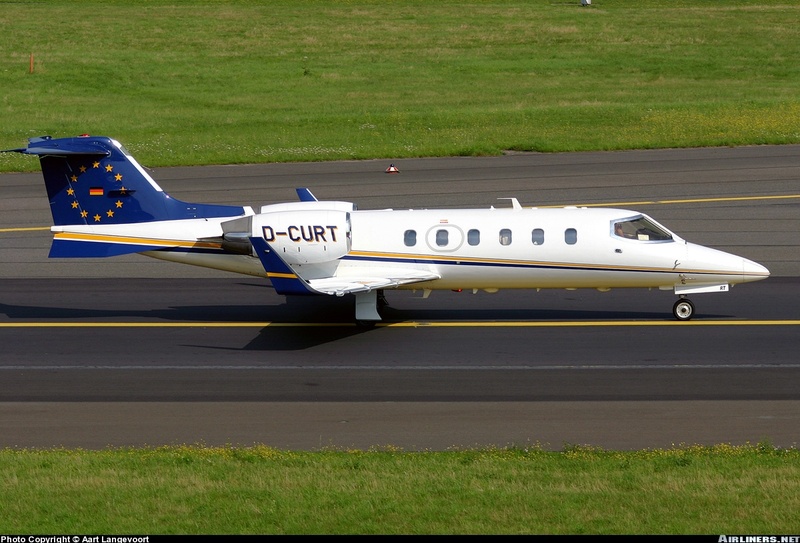 The Pilatus PC-12 is a single-engine turboprop passenger and cargo aircraft manufactured by Pilatus aircraft of Switzerland . 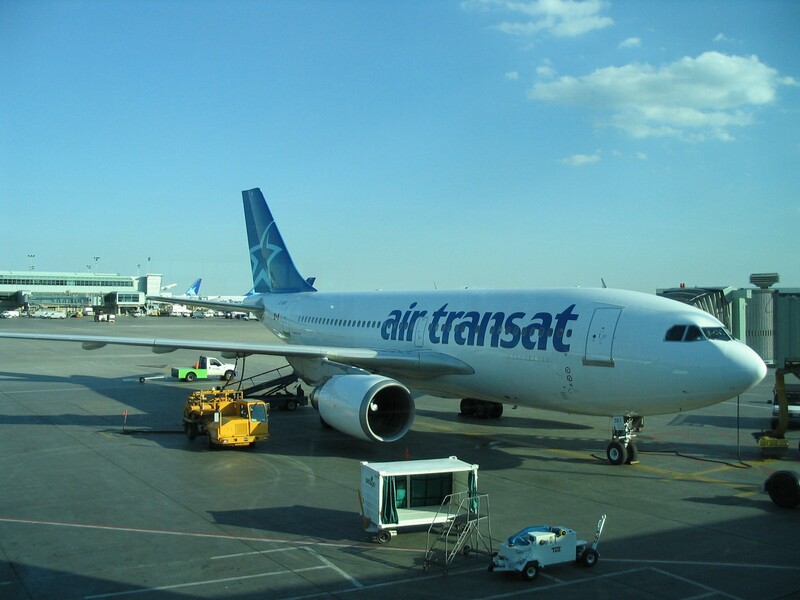 The main market for the aircraft is corporate transport and regional airliner operators. See right for PC-6 website. The HS-125 started out as De Havilland design. 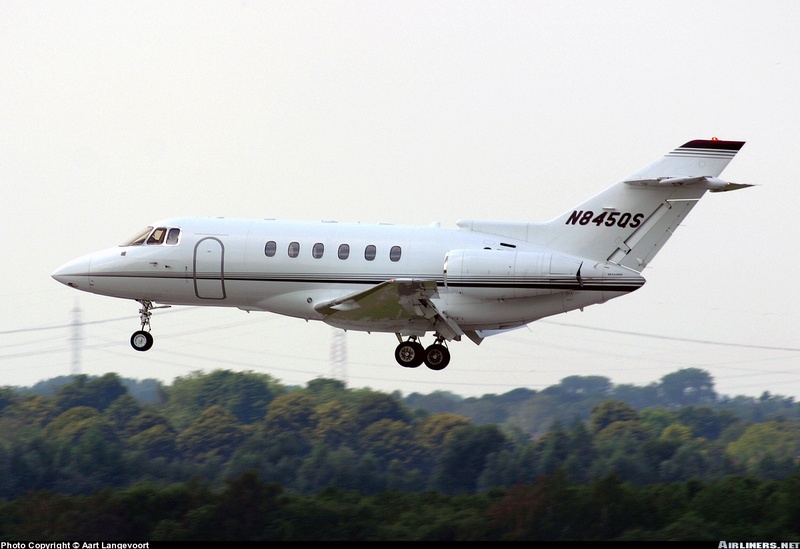 Raytheon purchased the BAe Business Jets division in 1993, the model 390 Premier is the first product of the Raytheon/Hawker combine. 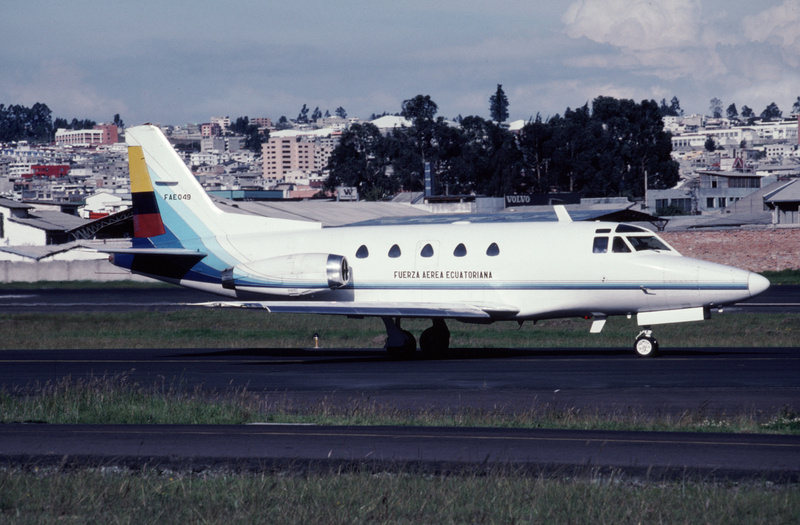 The Swedish military planebuilder approached the commercial market in 1983 with the 33 seat SF-340, at first together with the US Fairchild. 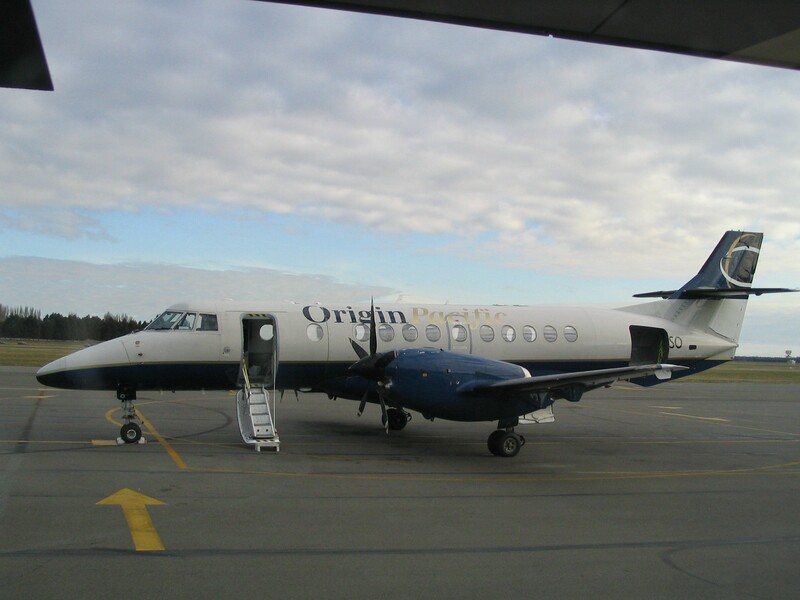 The later Saab 2000 (45 seats) proved to be expensive to buy and operate. 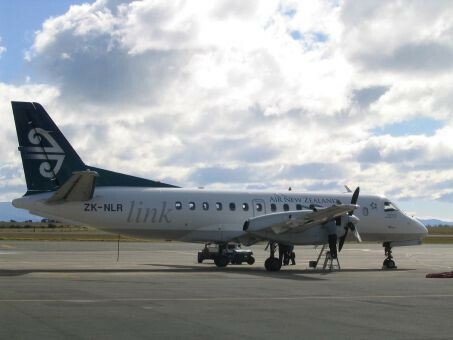 Its role was already to be taken over by the more popular regional jets. 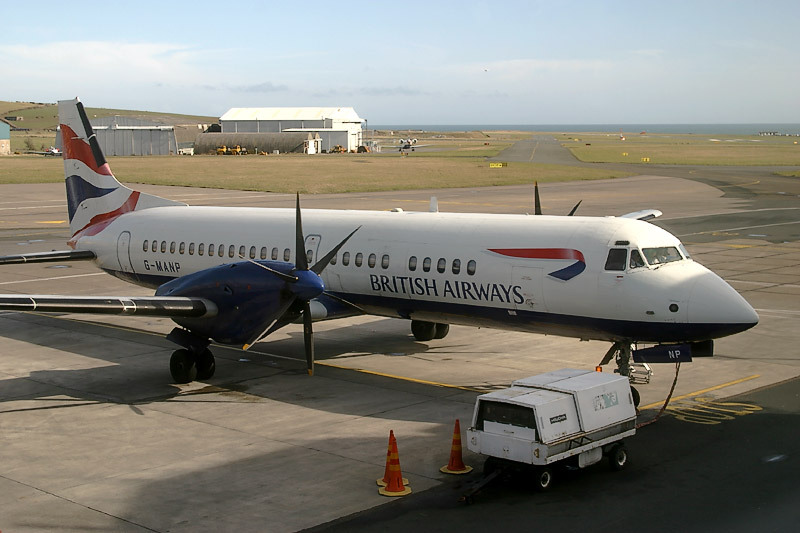 Saab stopped building the 340 and 2000 in 1999. 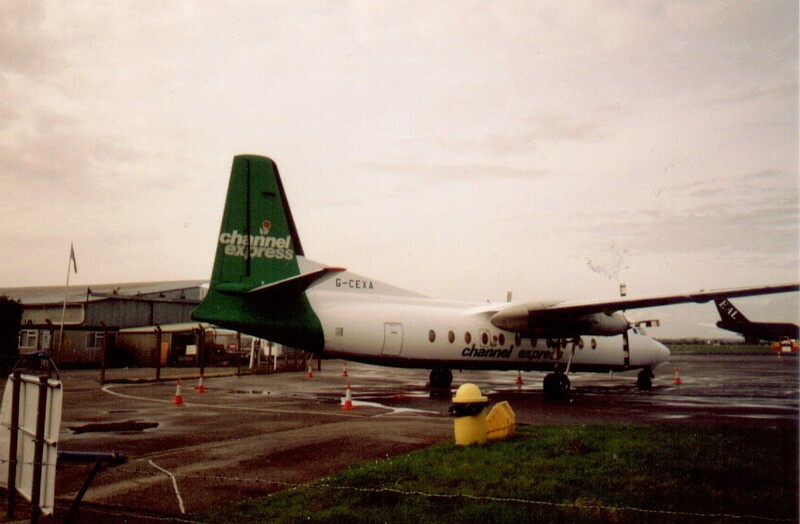 For decades, the Northern -Irish airplane-builder Short made ruggish but reliable propellor-aircraft. 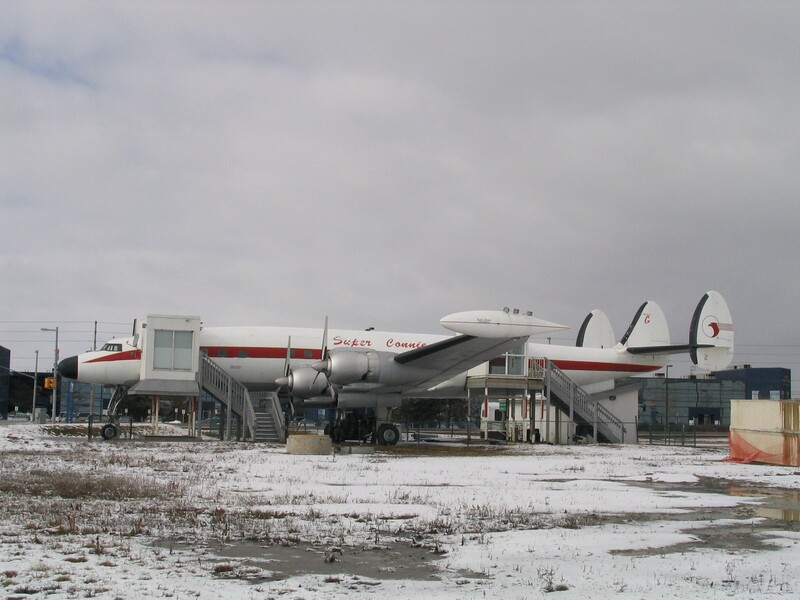 Of the unique Belfast, a bigger brother of the Hercules, only 10 were built. Production of the 330 and 360 ceased in 1991, when Short decided to concentrate on airplane- components for other manufacturers. 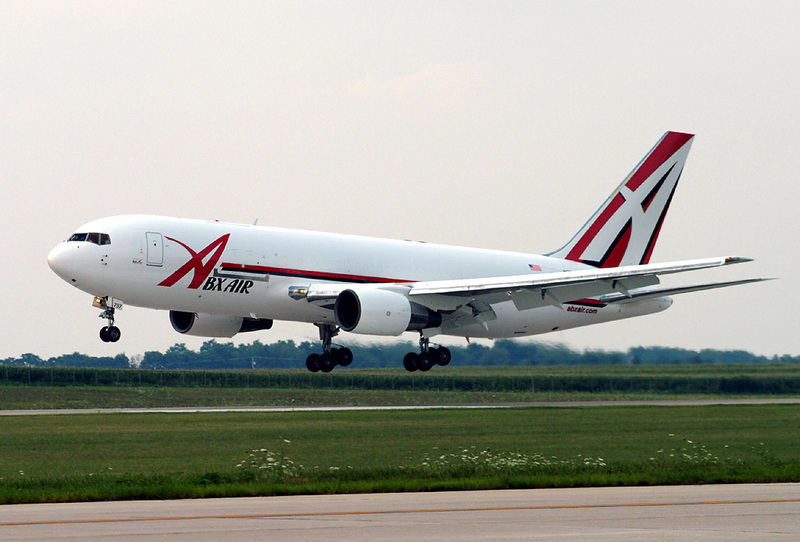 This boxy aircraft still flies cargo and passengers here and there. Russia wants to regain interest from airlines beyond the C.I.S. 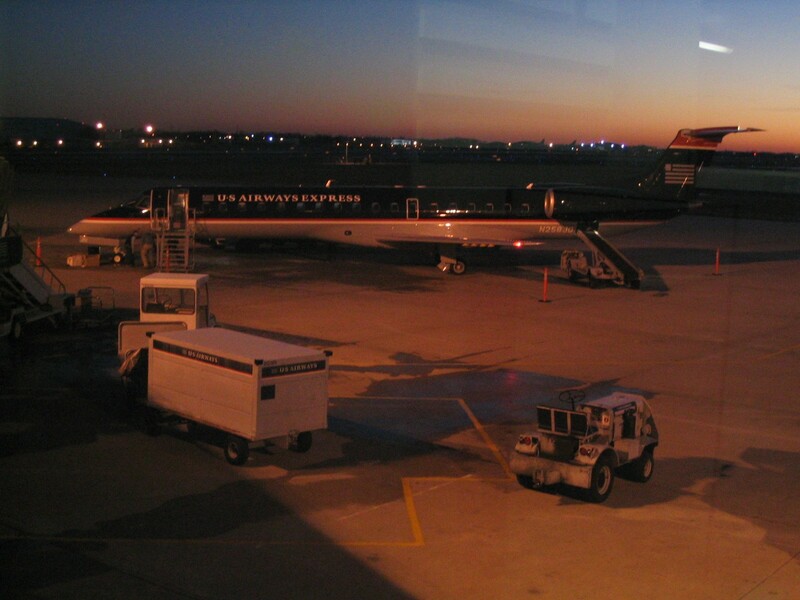 hemisphere in this 60-90 pax regional jet. 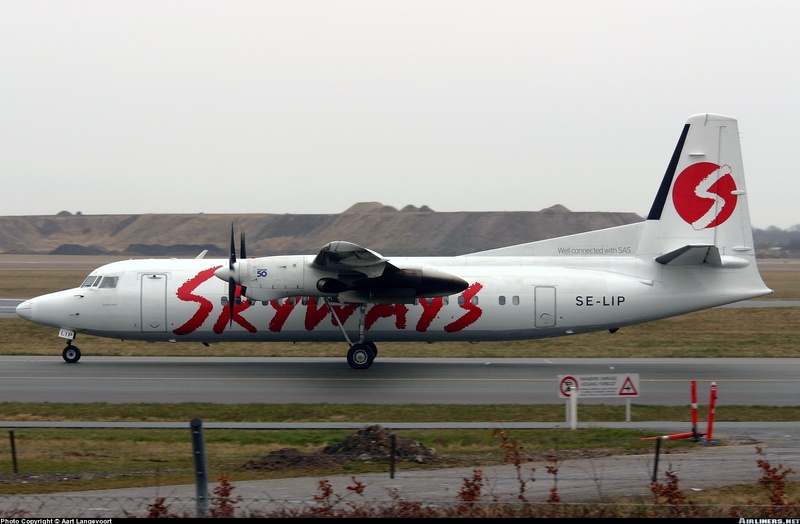 The first orders are coming in by late 2005, first flight was in 2008. 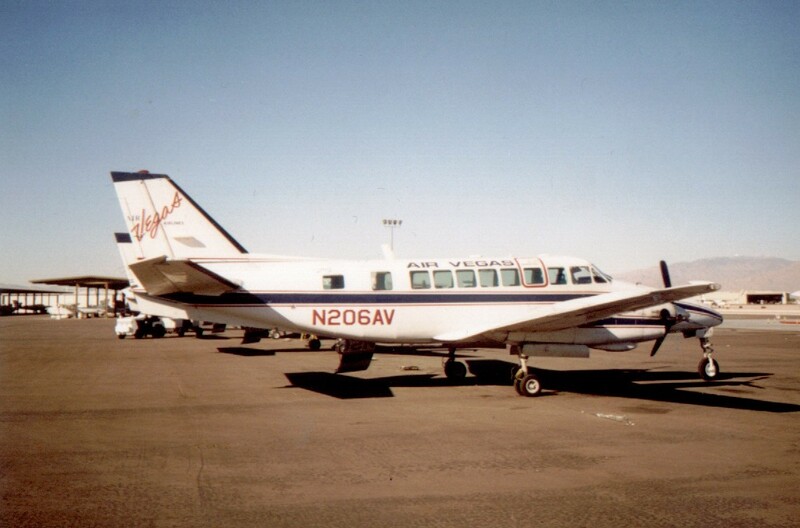 More then 1000 of this sleek 19 seater commuter and VIP aircraft have been built between 1967 and 2000. 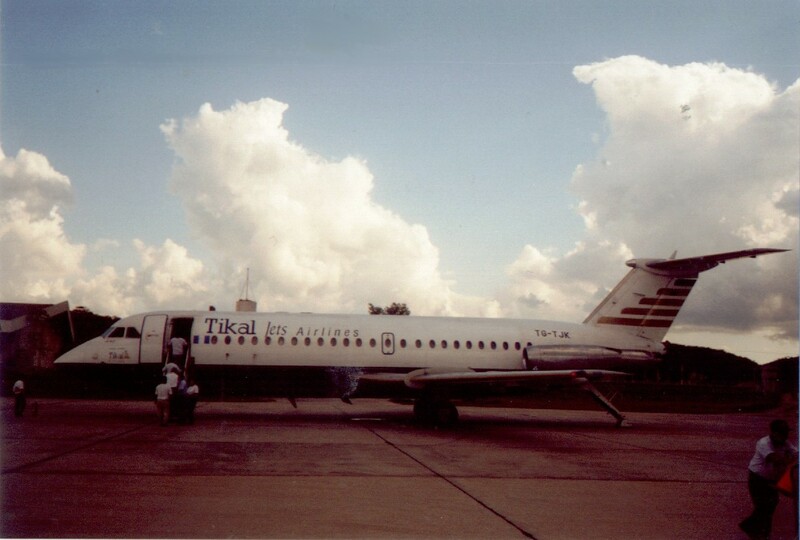 The Soviet's answer to the early short-haul jets DC-9, BAC 1-11 and Caravelle was the Tupolev 134. 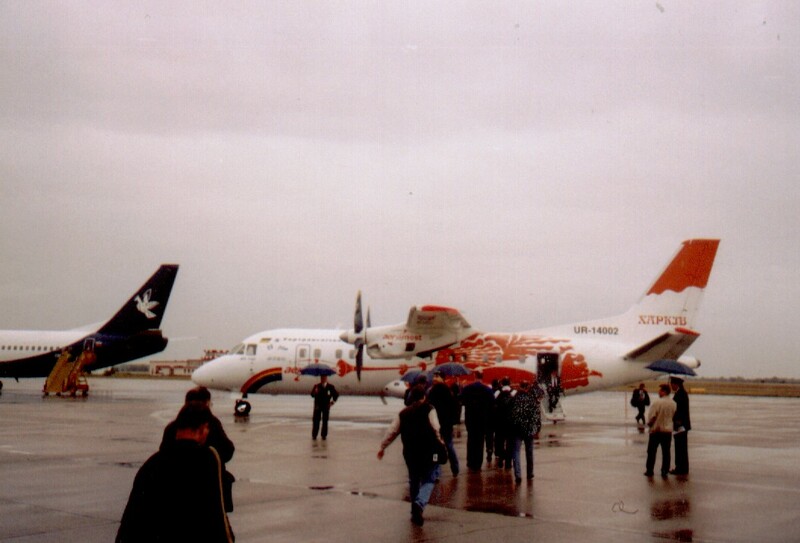 It flew in 1963 and was extensively used in the USSR and exported to Eastern European countries. 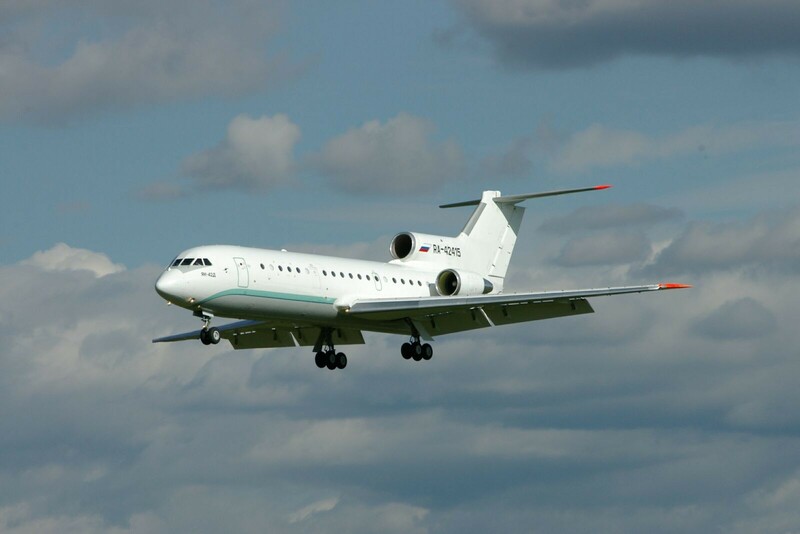 Tupolev designed a lot of other aircraft of which only a few are built (till now). 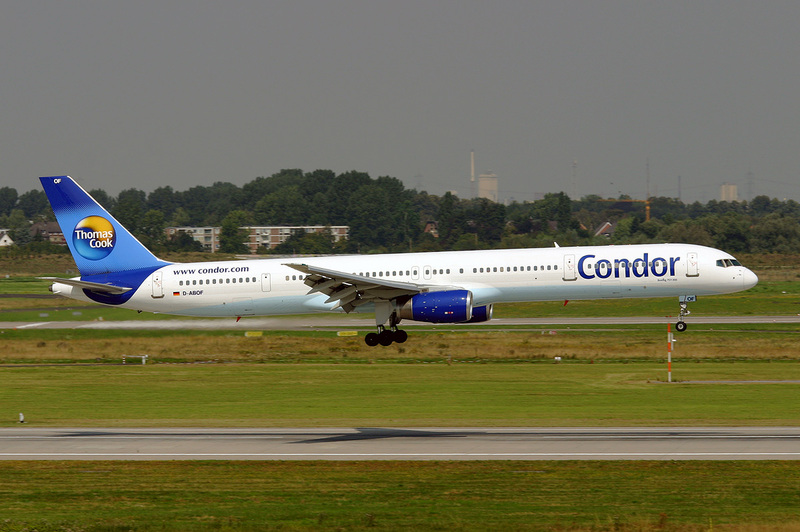 Featured too in the data are the Tu-144 "Concordski", the 757-copy Tu-204, which is meant to replace the 154, the shorter 214 and 100 seat 234. 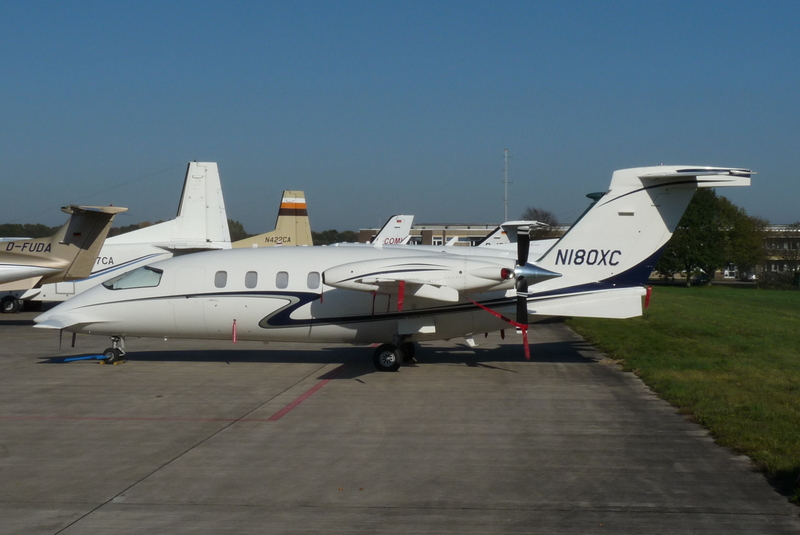 This 100 seater turboprop was only sold to BEA and Trans Canada, but cargo versions soldiered on til the mid 1990s. 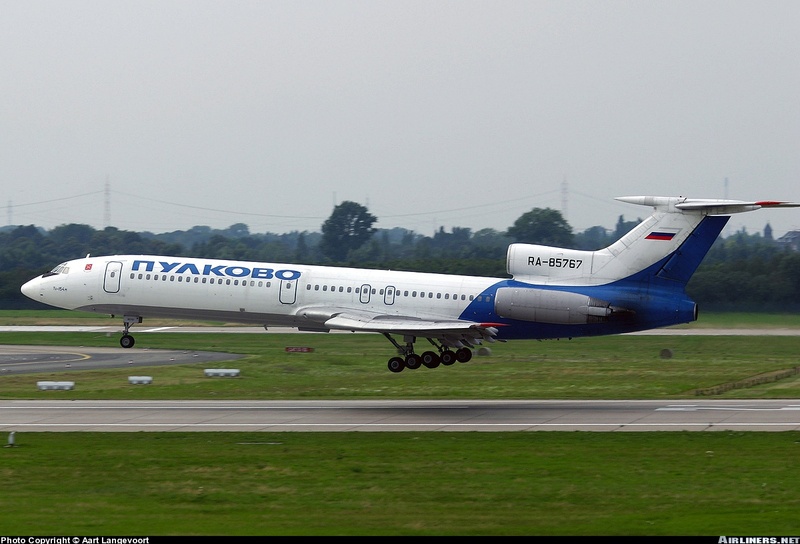 The Yak-42 was a 120 seat aircraft designed in the late 70s and meant to replace Tu-134s and Il-18s in service with Aeroflot. An early accident lowered the pace of introduction and less than 200 were built. The Y-12 is the first full Chinese designed airliner which is built in fair numbers and exported. An estimated 150 are built so far of this 17 seater. 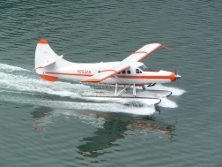 The MA-60 is developed out of the An-24 and Y-7. © 2011 Airlinerlist.com and Marc-o-media.nl - All rights reserved.